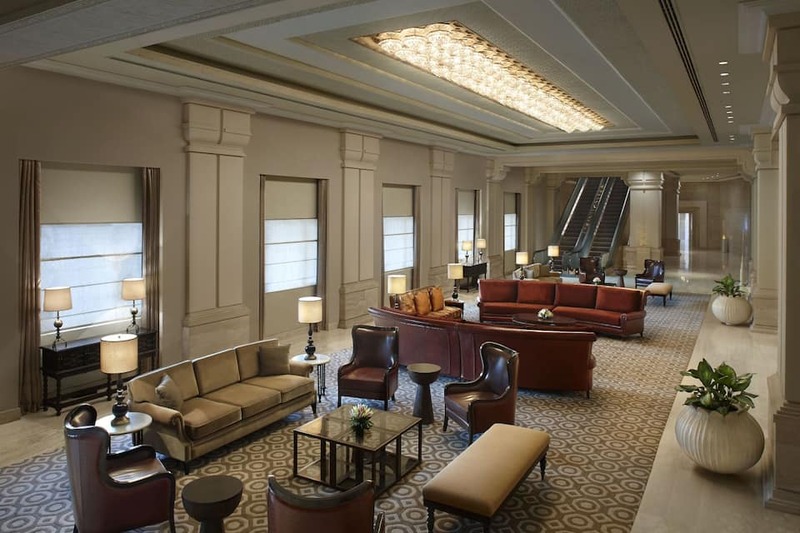 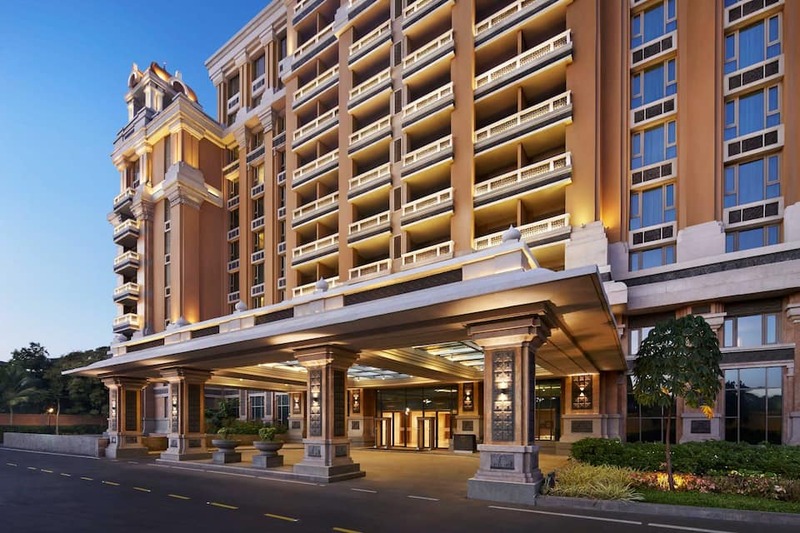 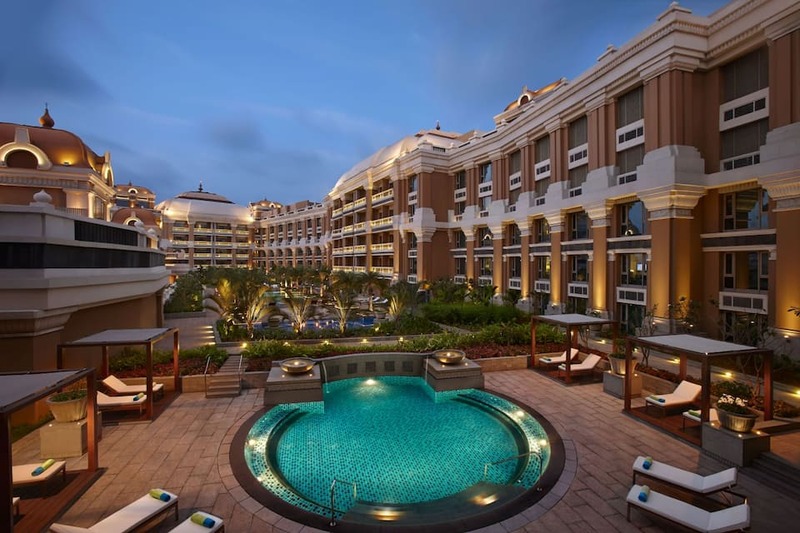 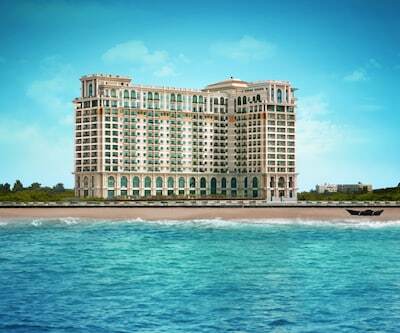 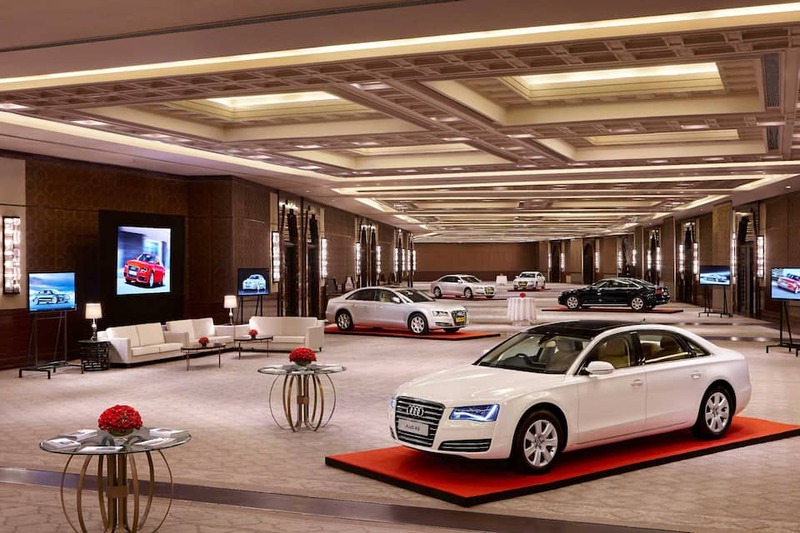 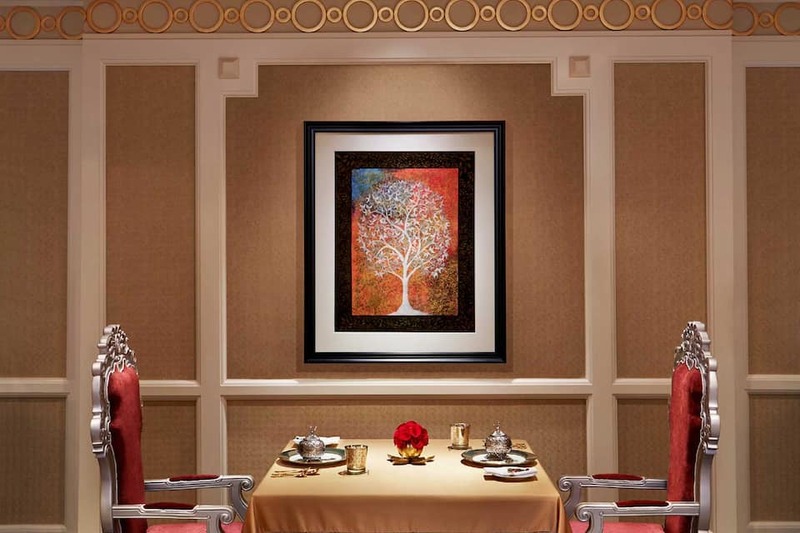 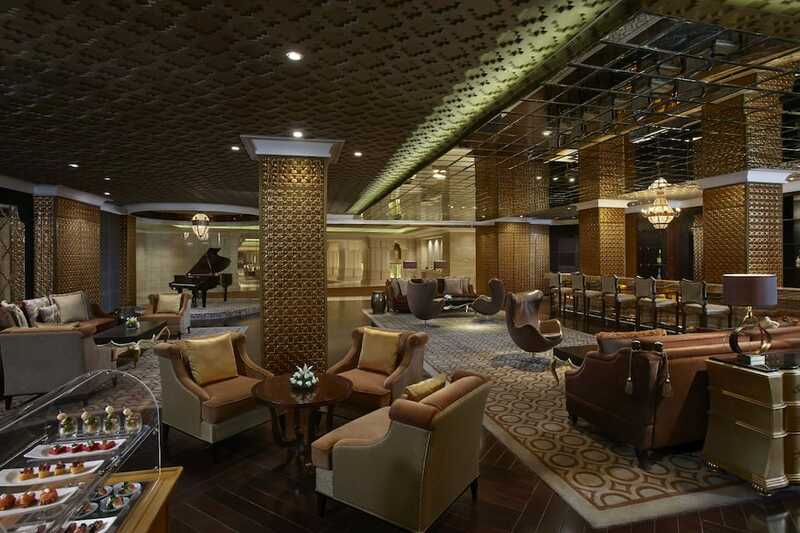 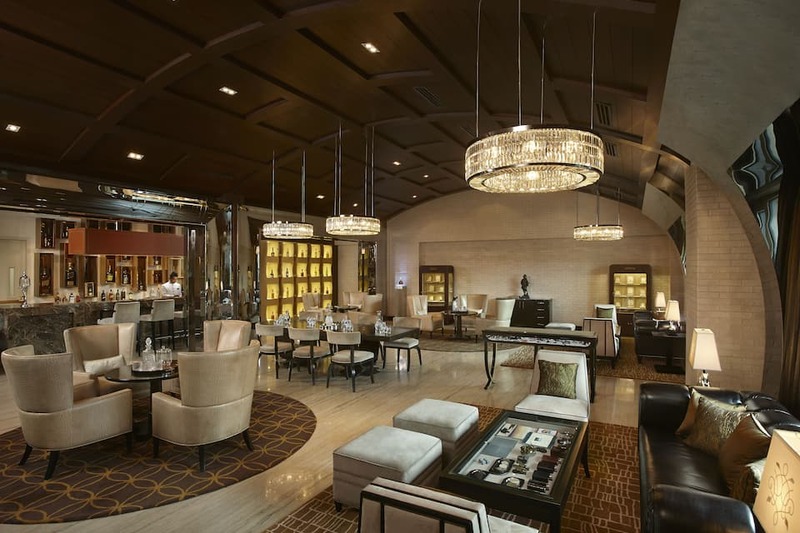 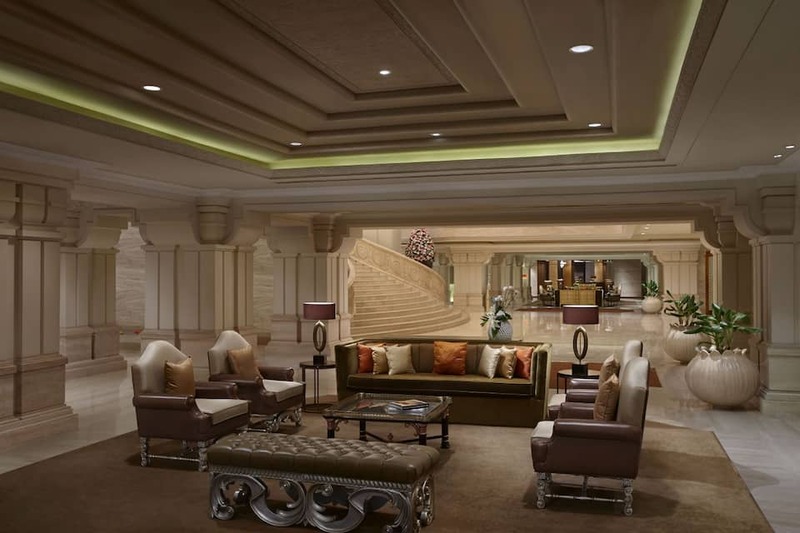 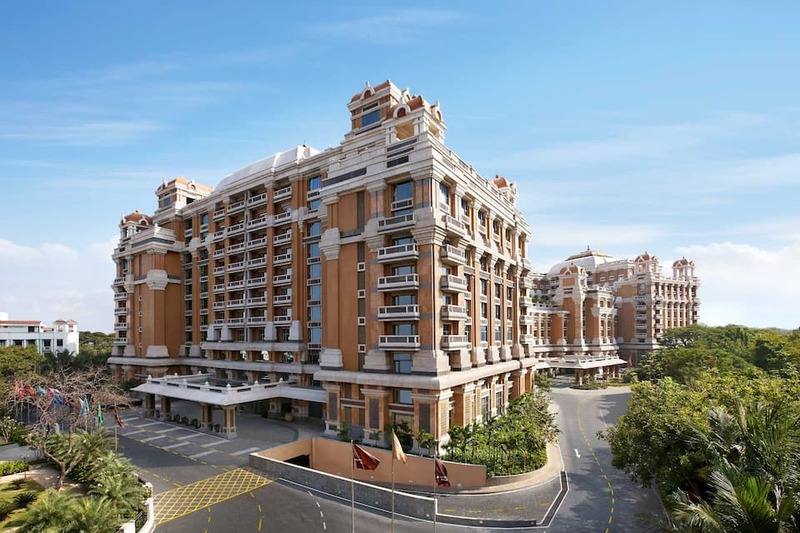 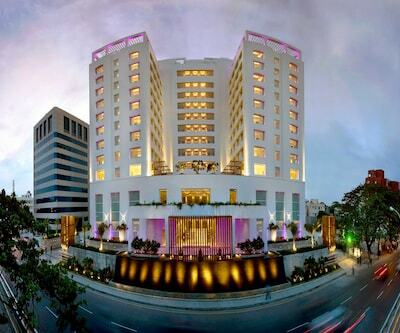 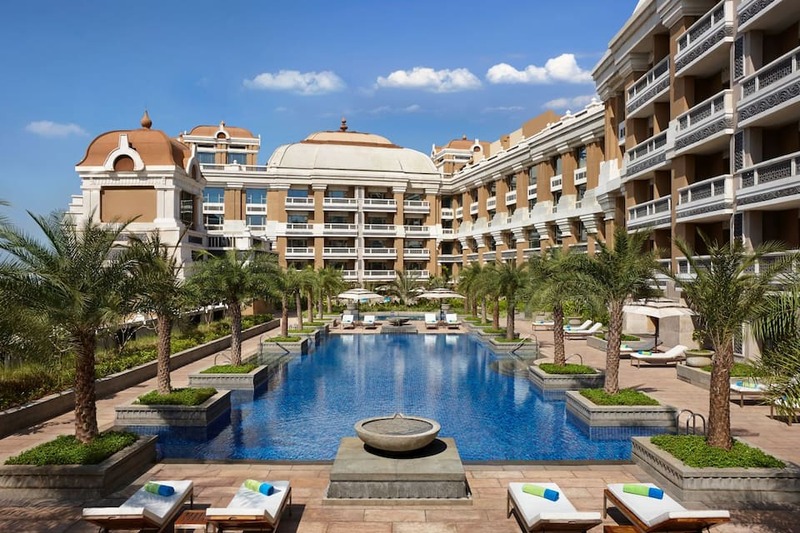 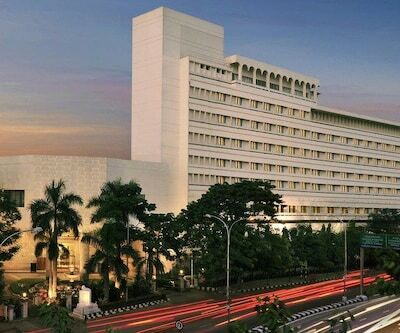 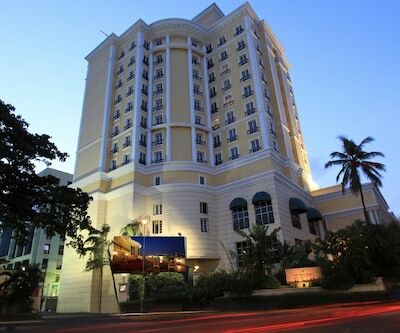 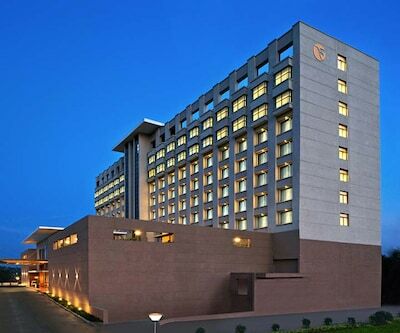 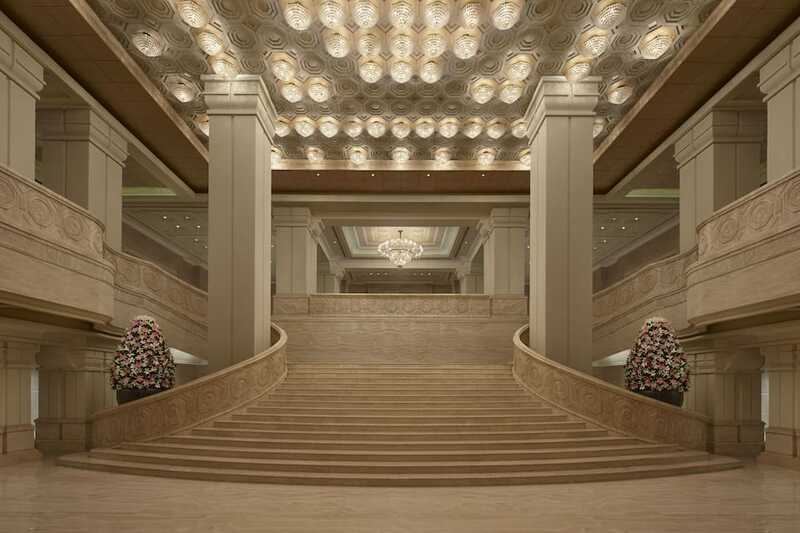 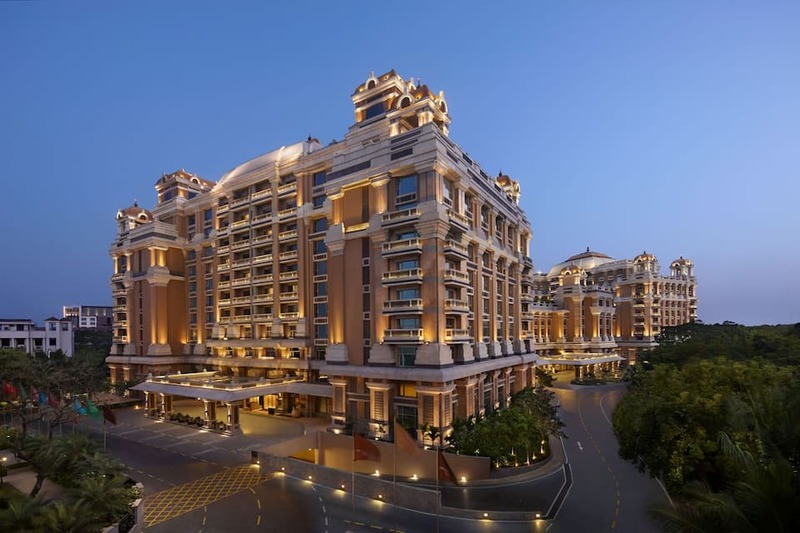 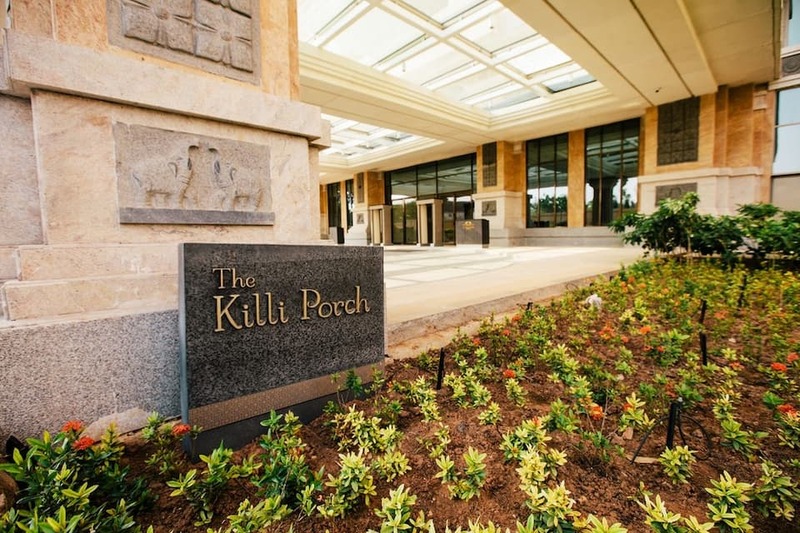 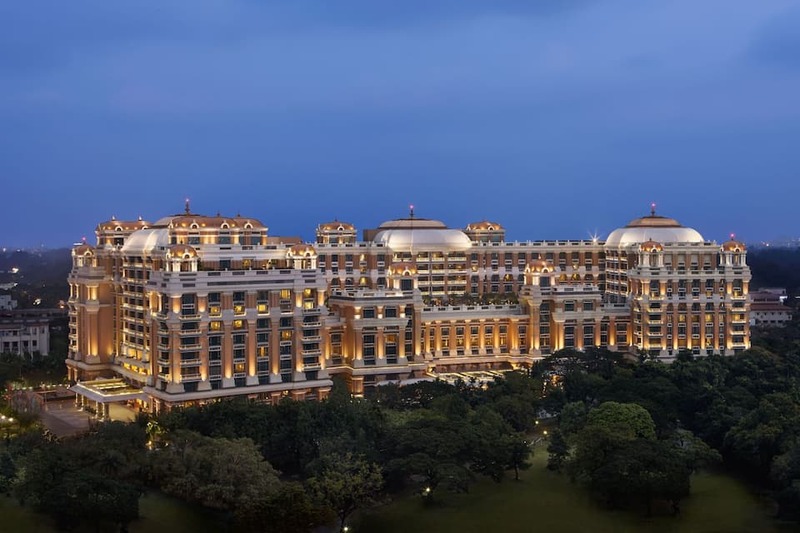 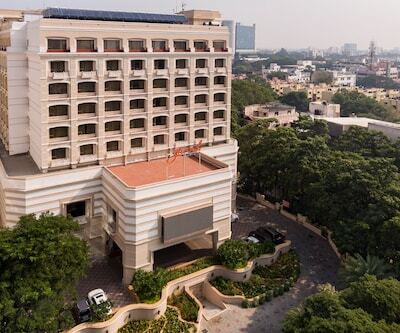 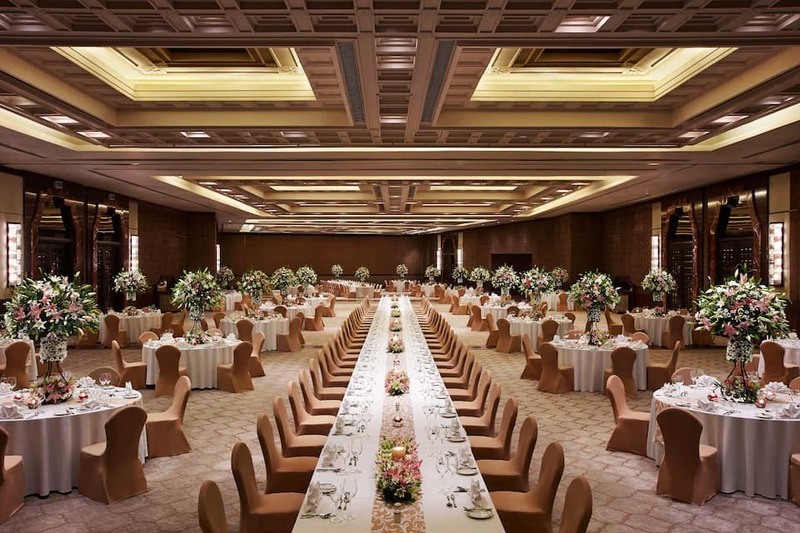 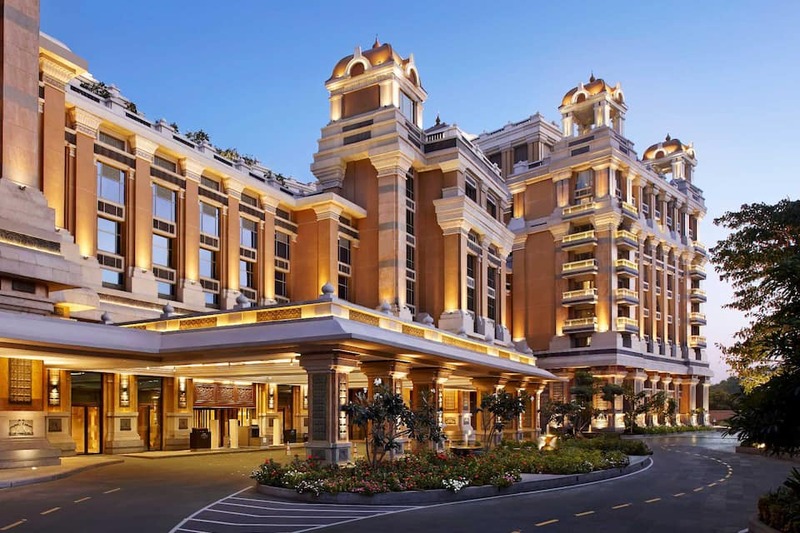 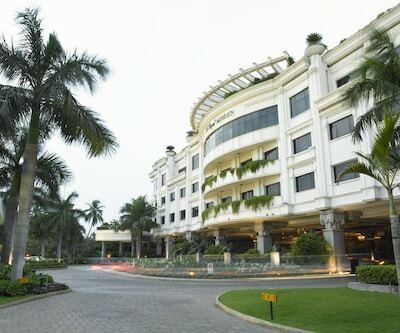 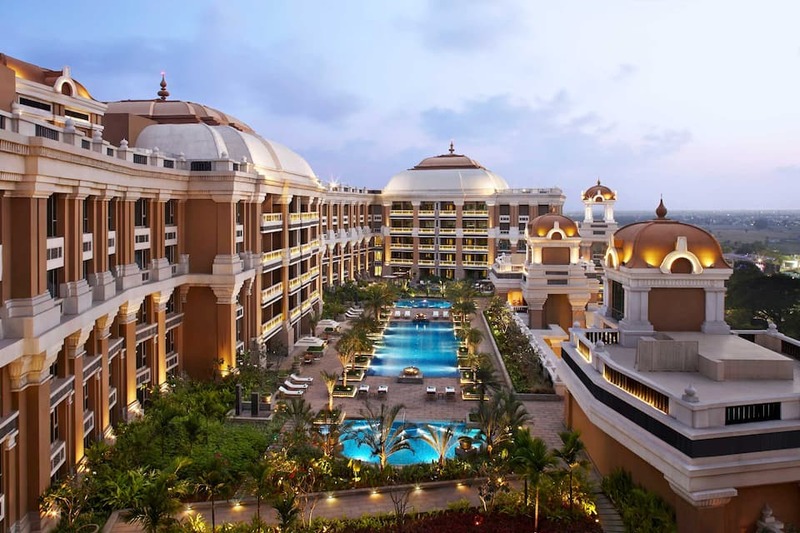 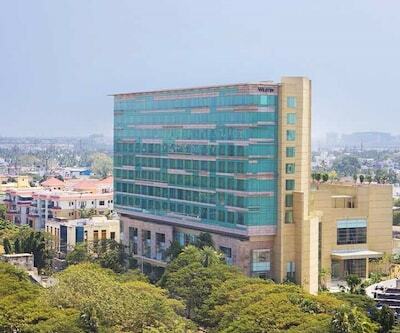 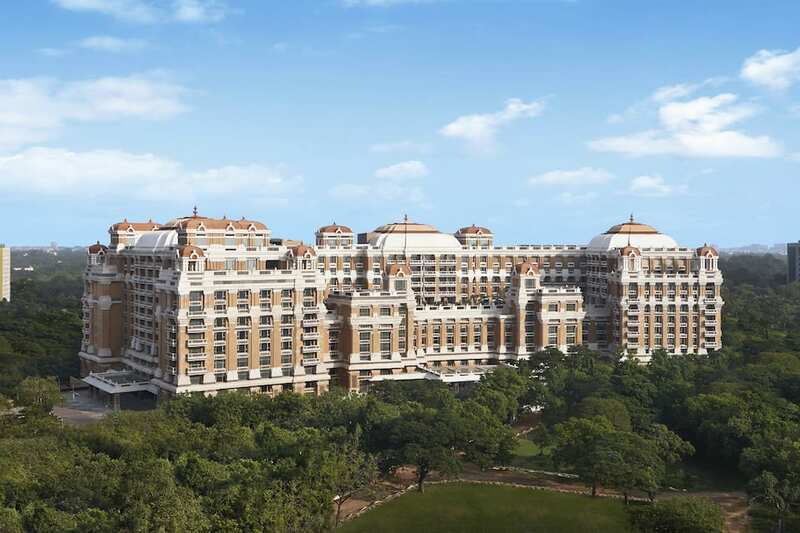 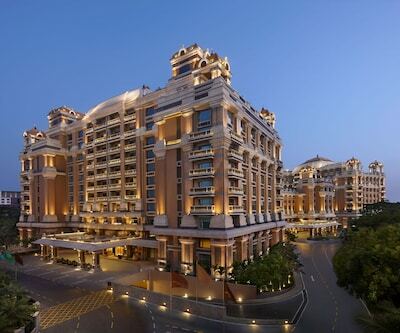 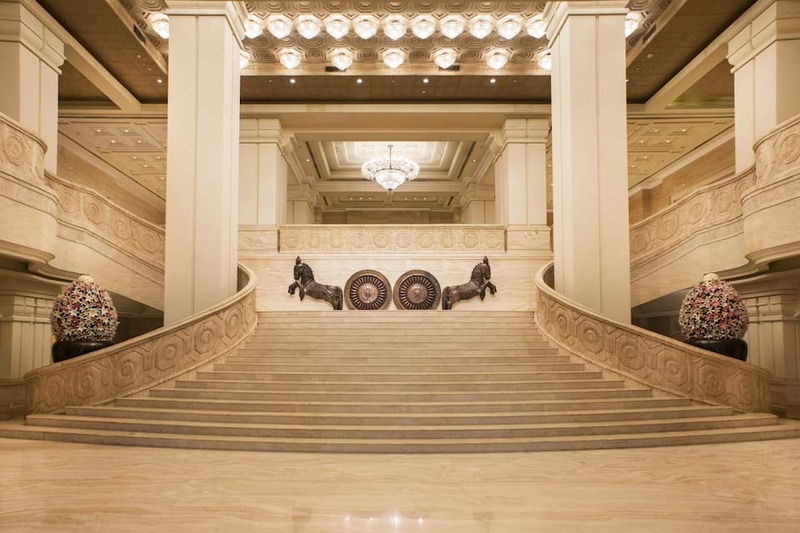 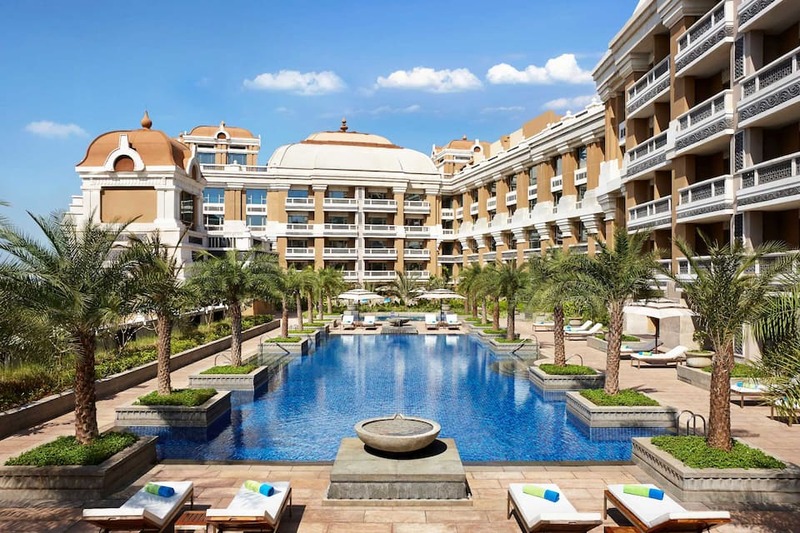 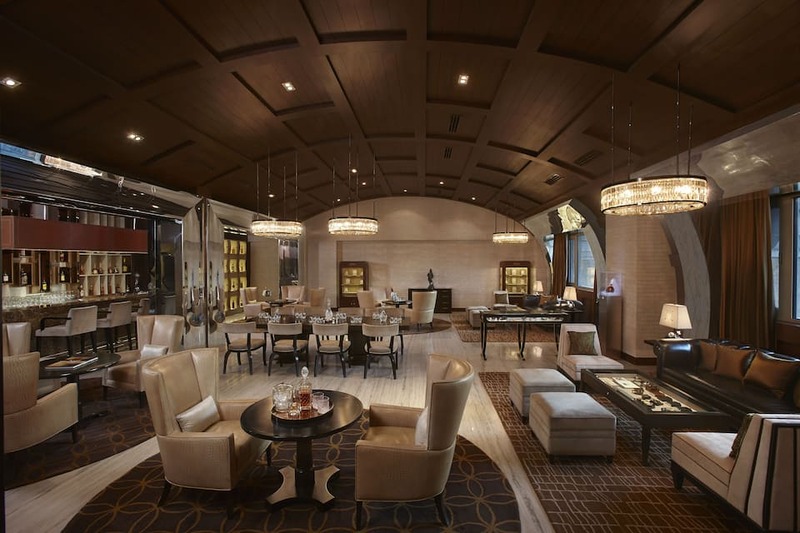 Built in the midst of the business hub of Guindy, ITC Grand Chola is the world?s largest LEED Platinum green hotel. 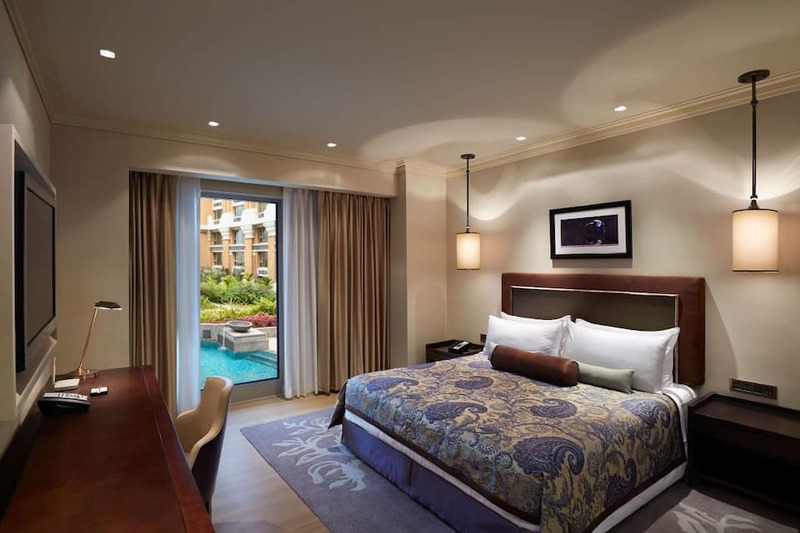 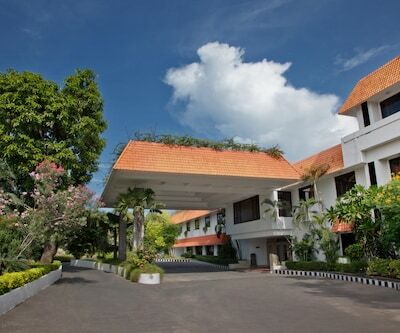 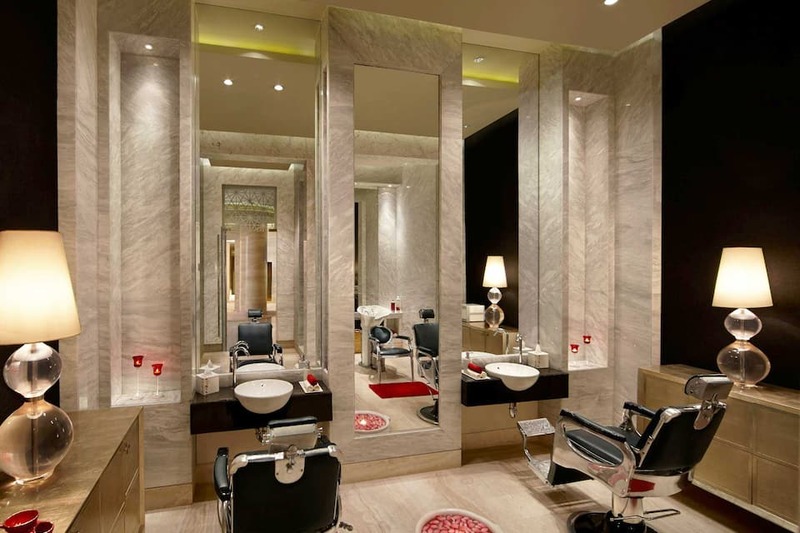 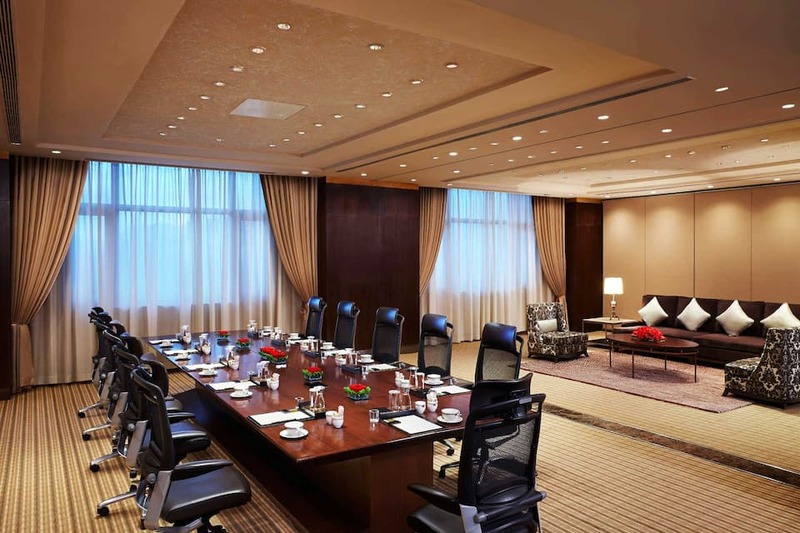 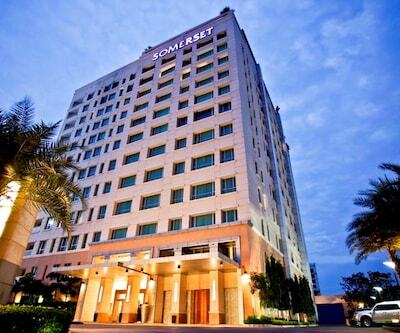 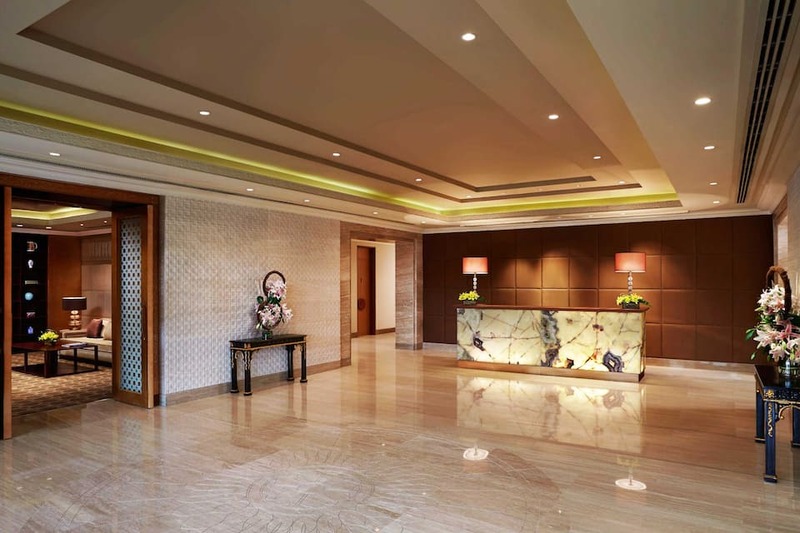 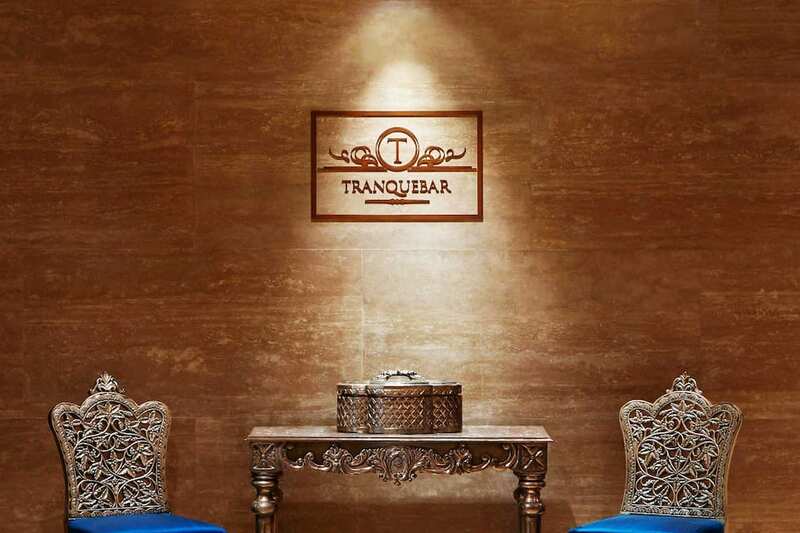 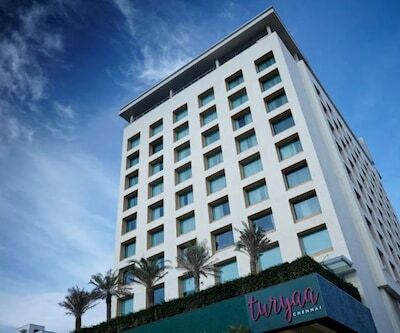 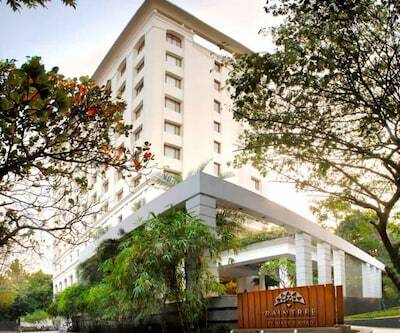 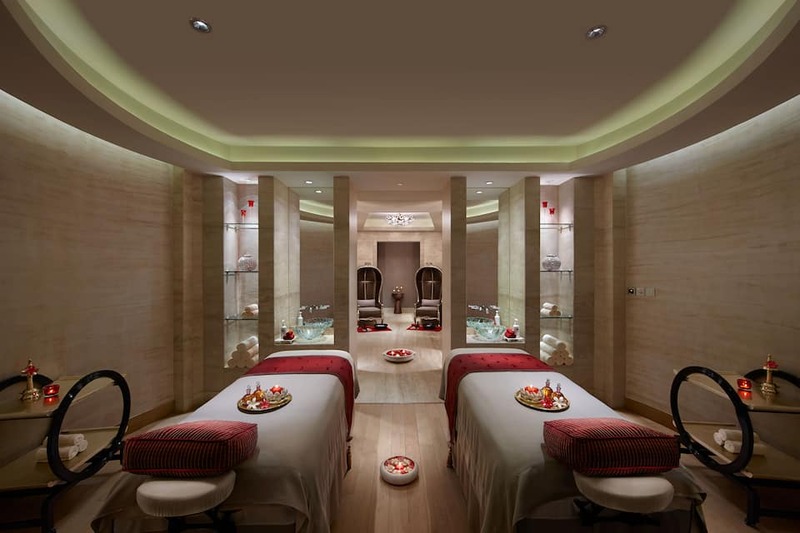 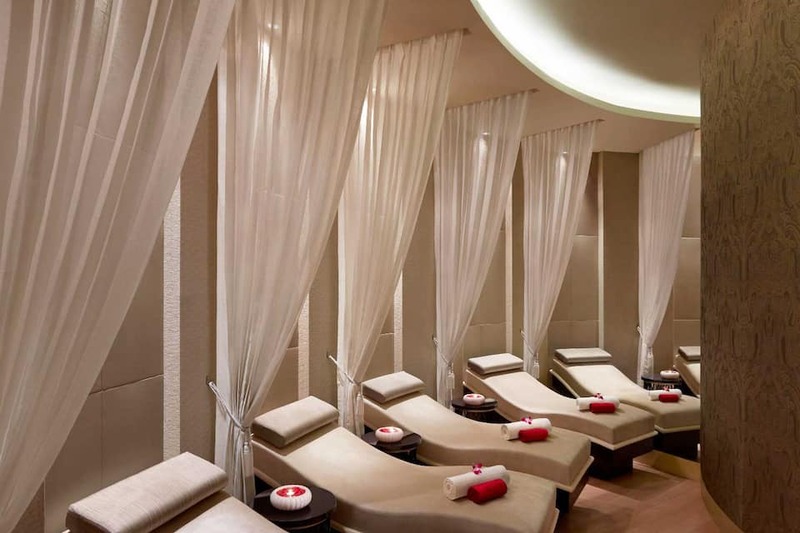 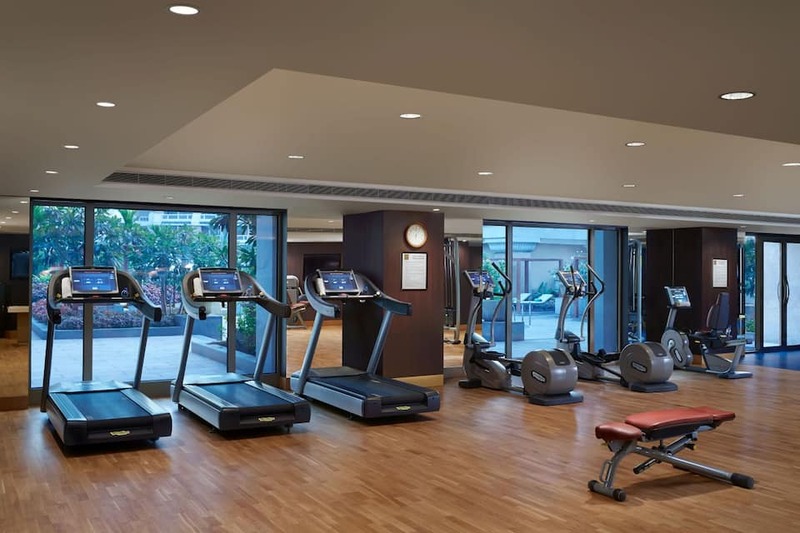 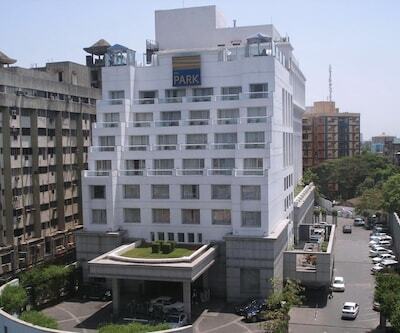 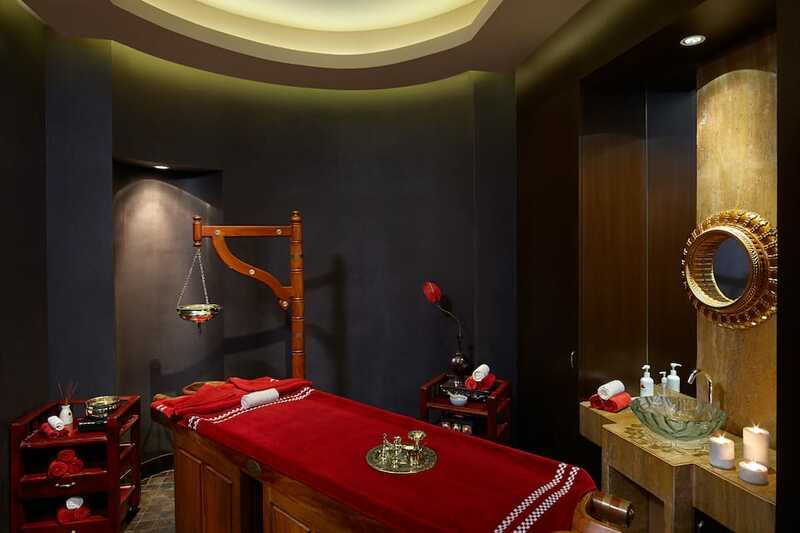 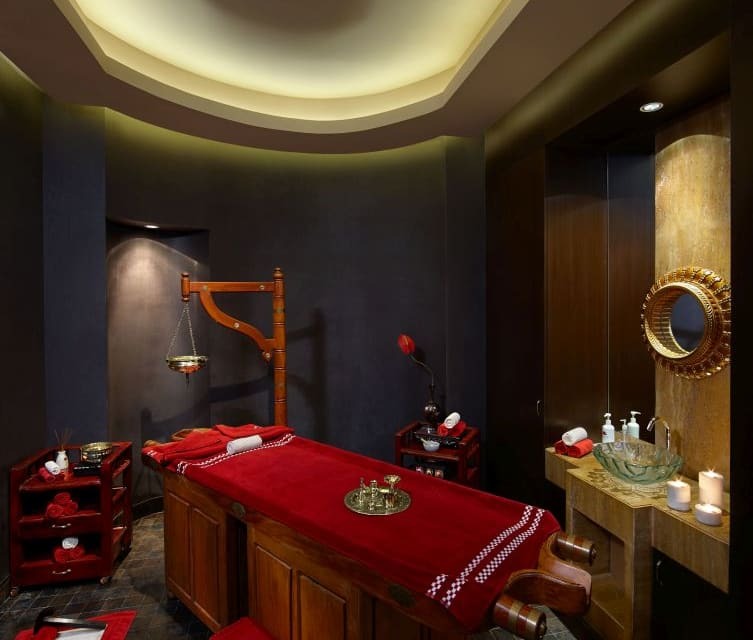 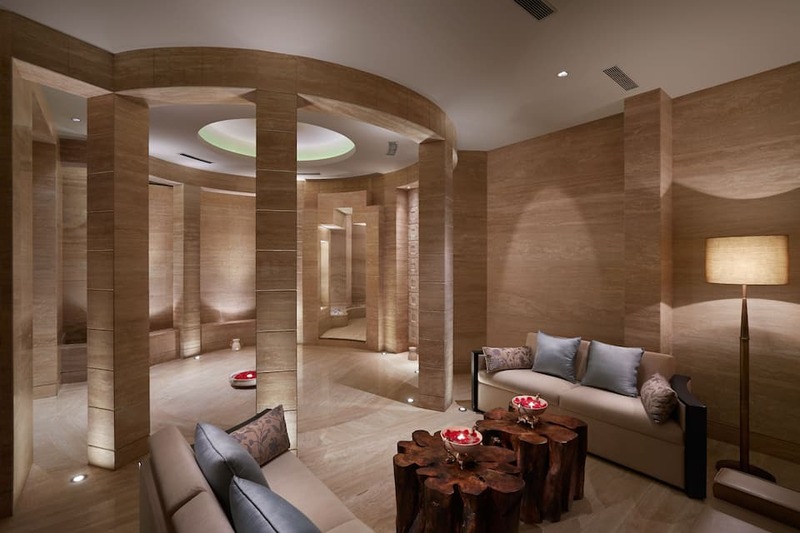 This Chennai accommodation has a fully equipped gymnasium, business center, swimming pool, spa facility and salon. 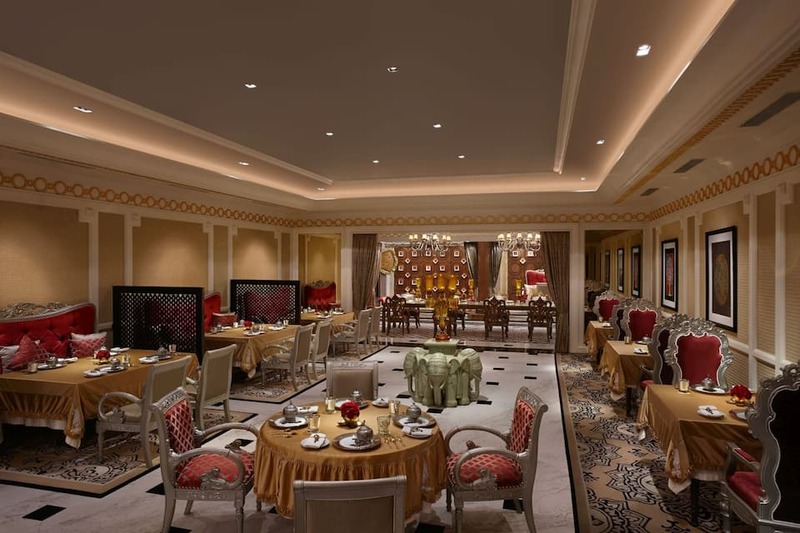 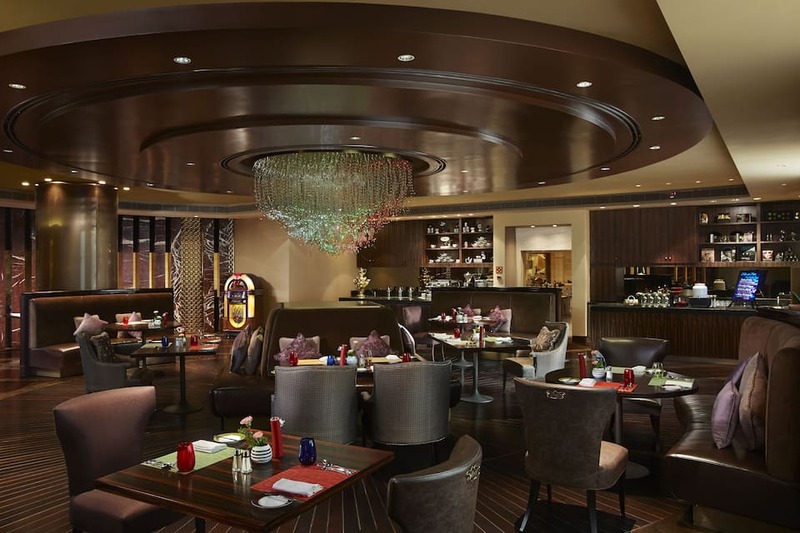 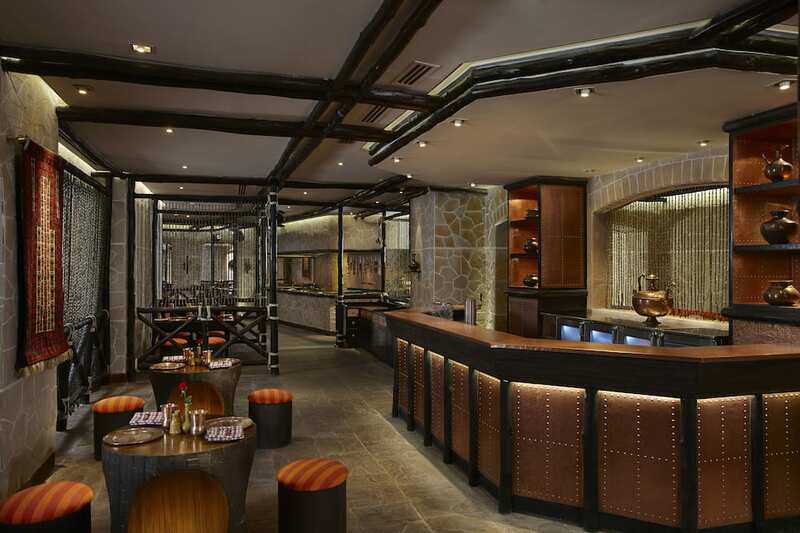 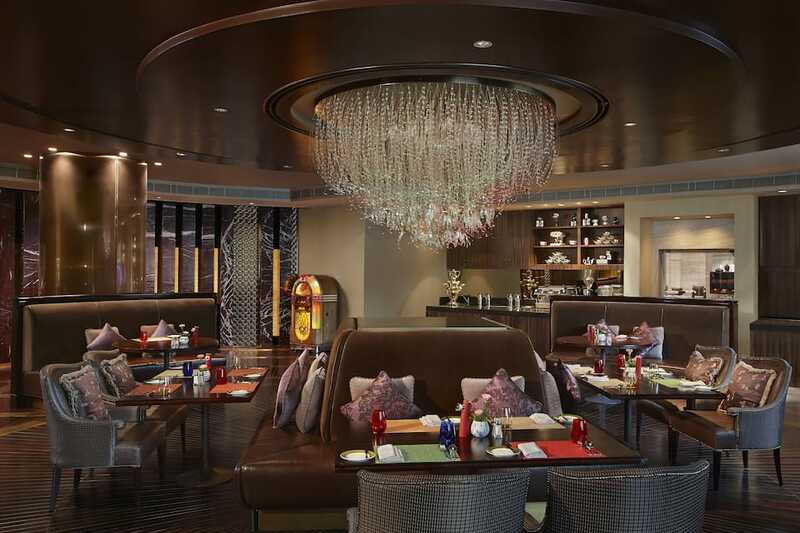 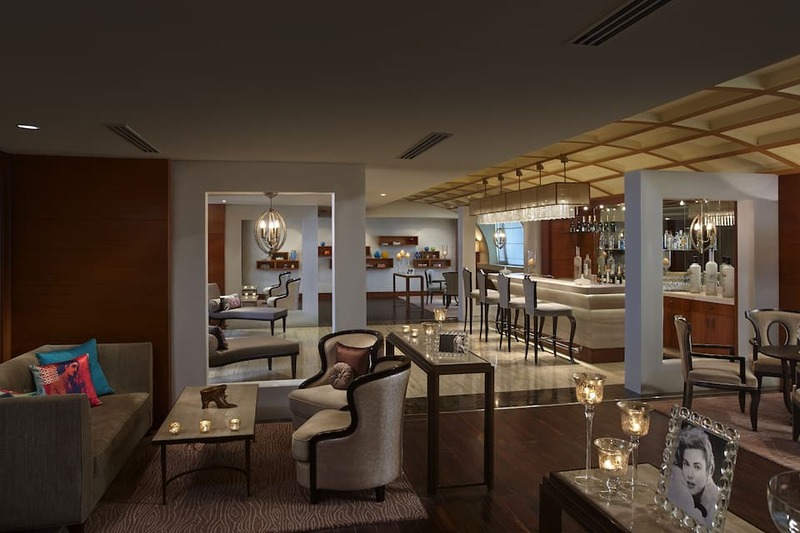 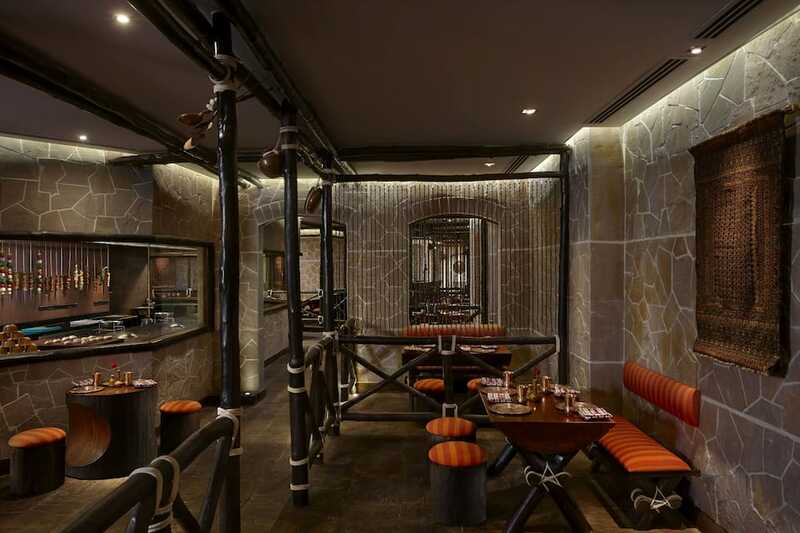 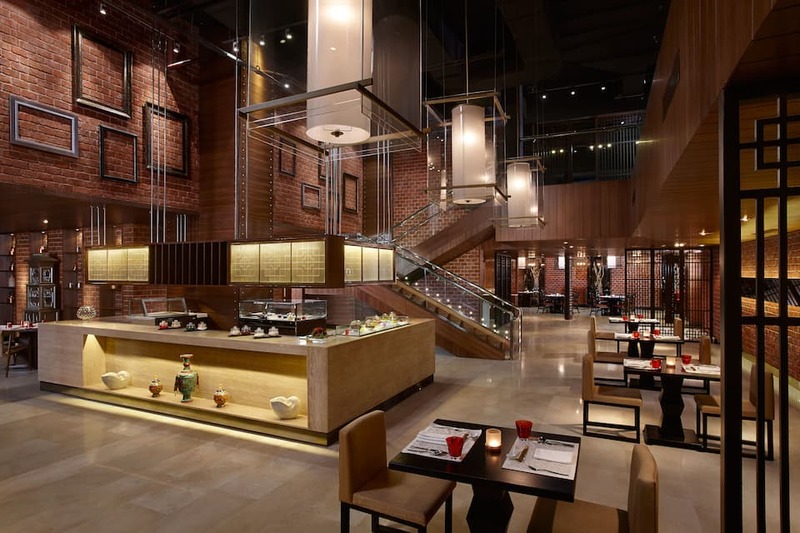 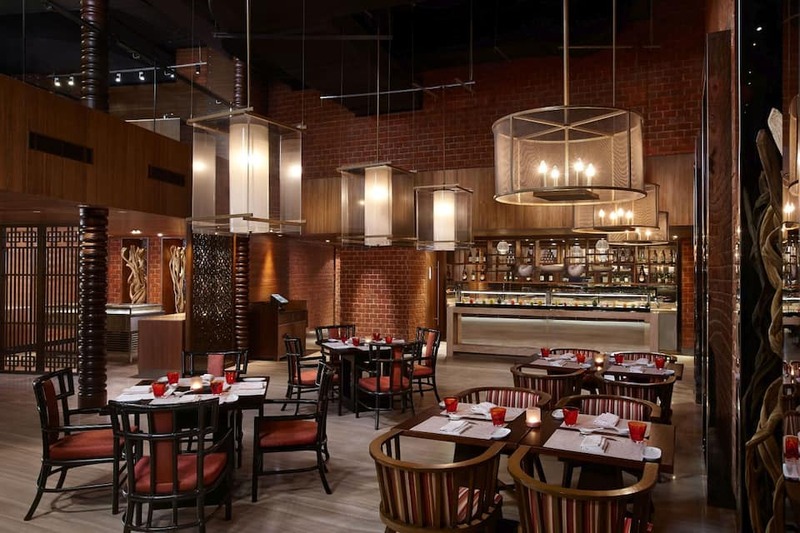 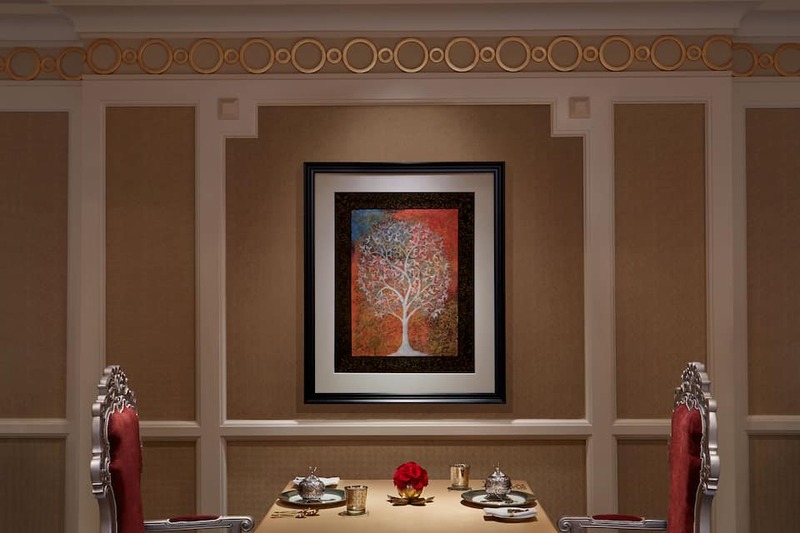 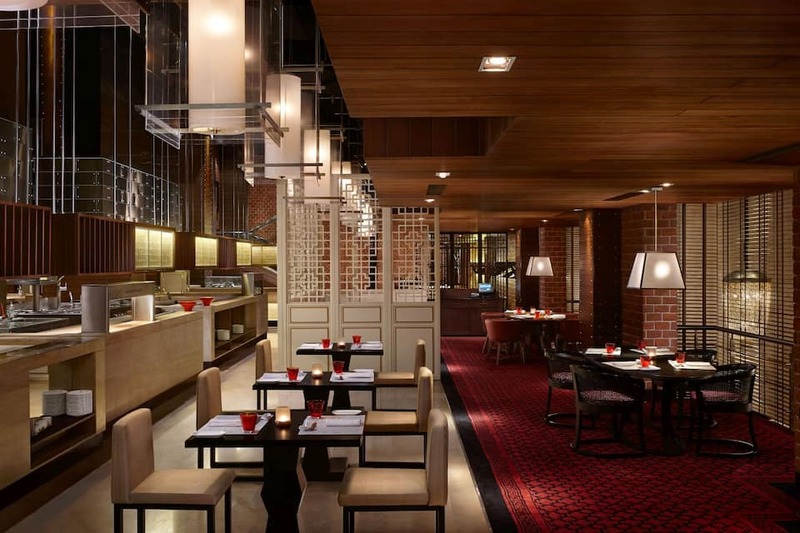 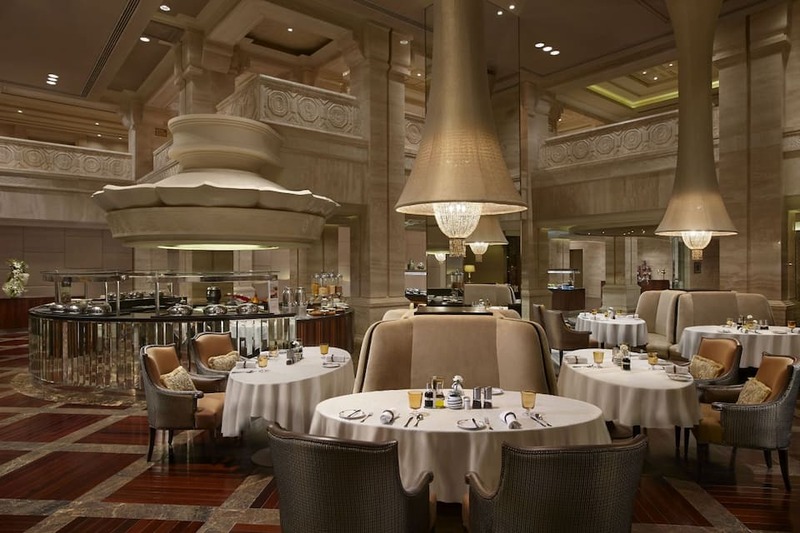 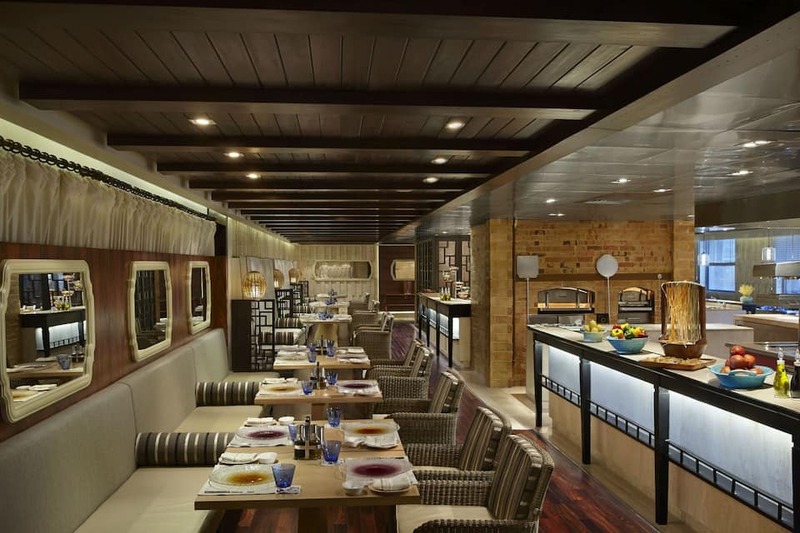 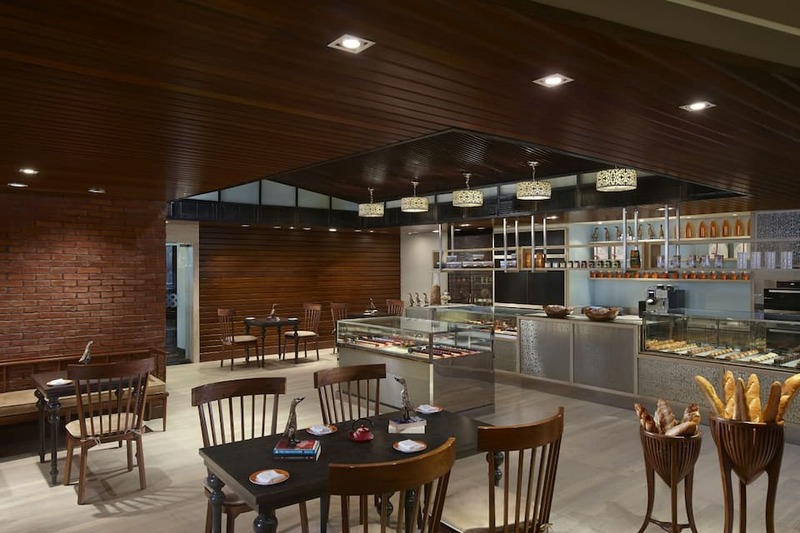 It also has one Italian restaurant called Ottimo, one East-Asian restaurant called Pan-Asian, a buffet restaurant Madras Pavilion and a South Indian restaurant named Avartana. 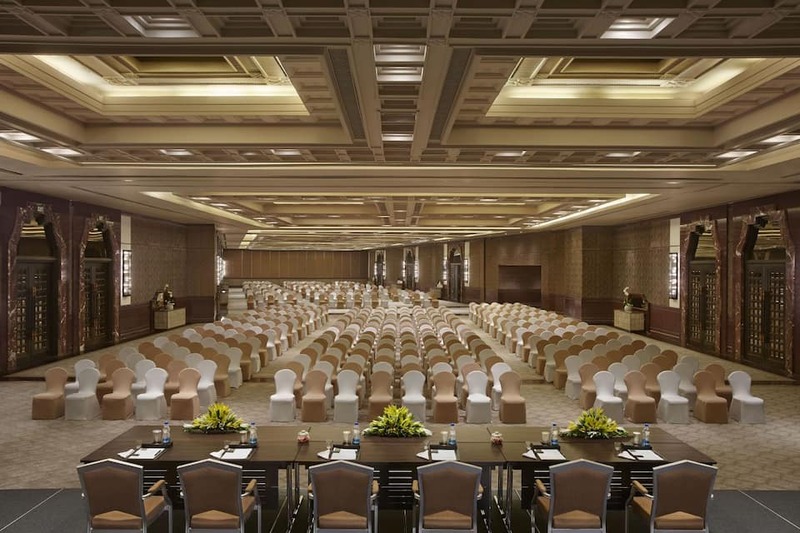 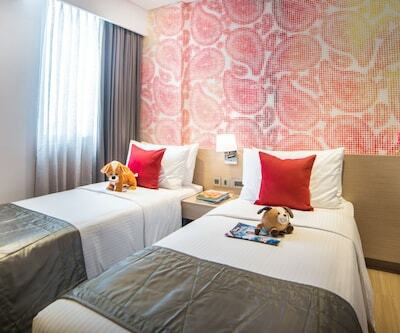 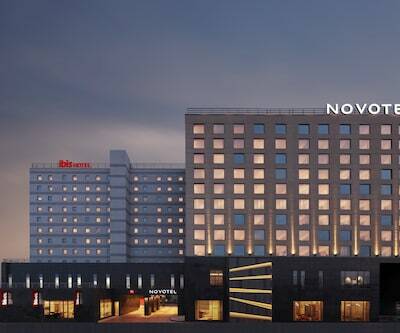 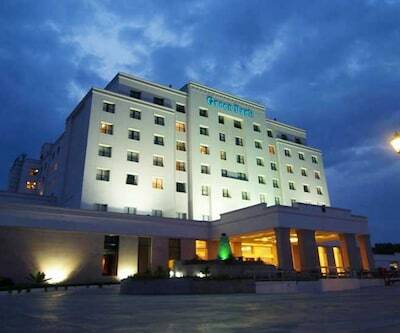 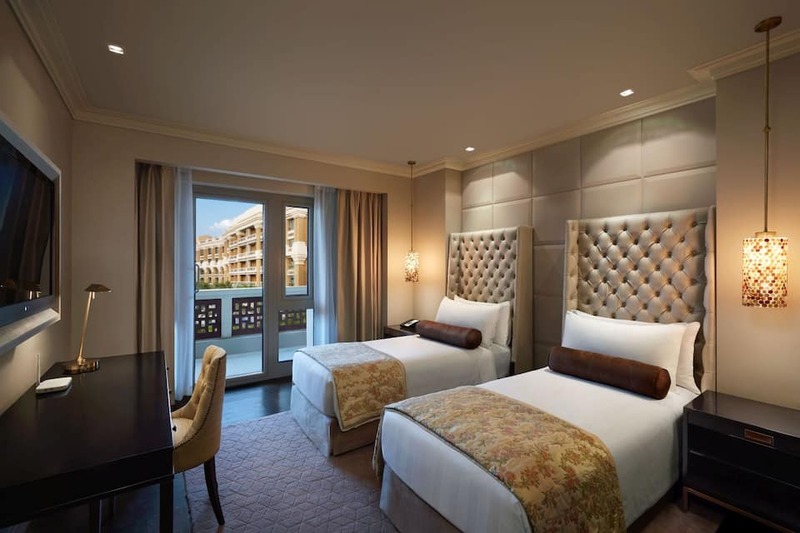 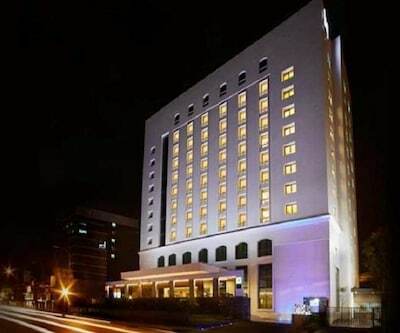 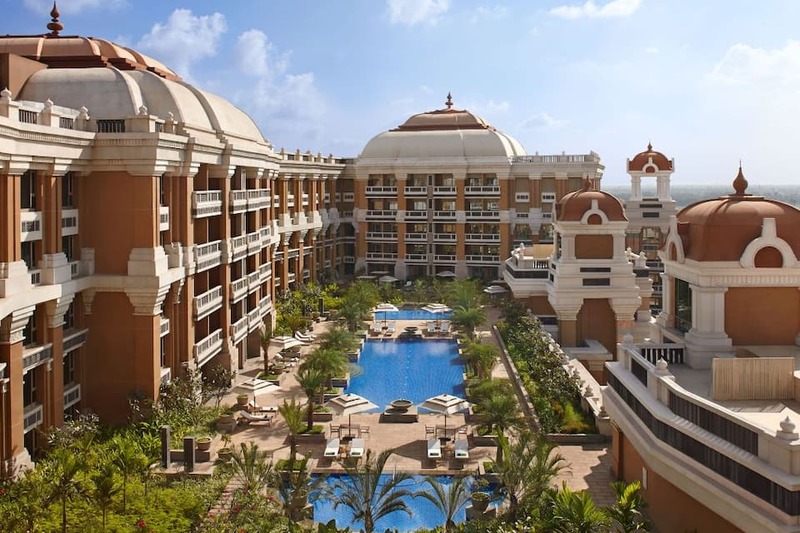 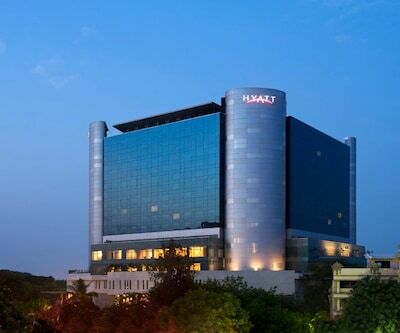 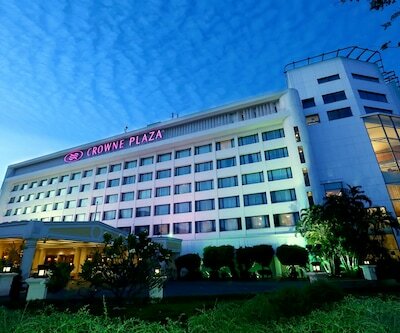 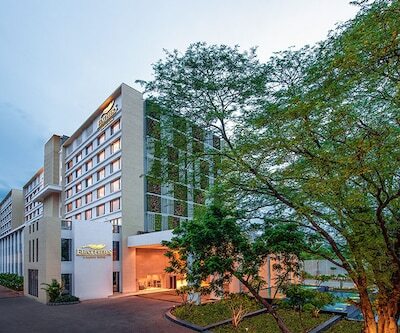 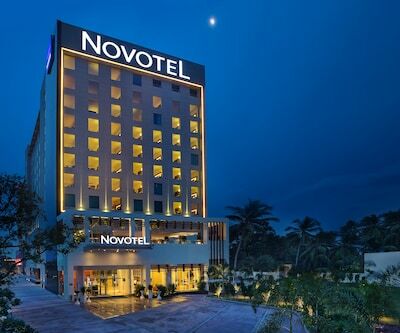 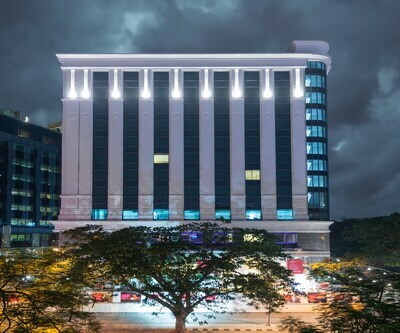 This hotel is reachable via Chennai Egmore Railway Station (12 km) and Elliot's Beach (8 km).It comprises a total of 600 spacious guest rooms, suites and luxury service apartments. 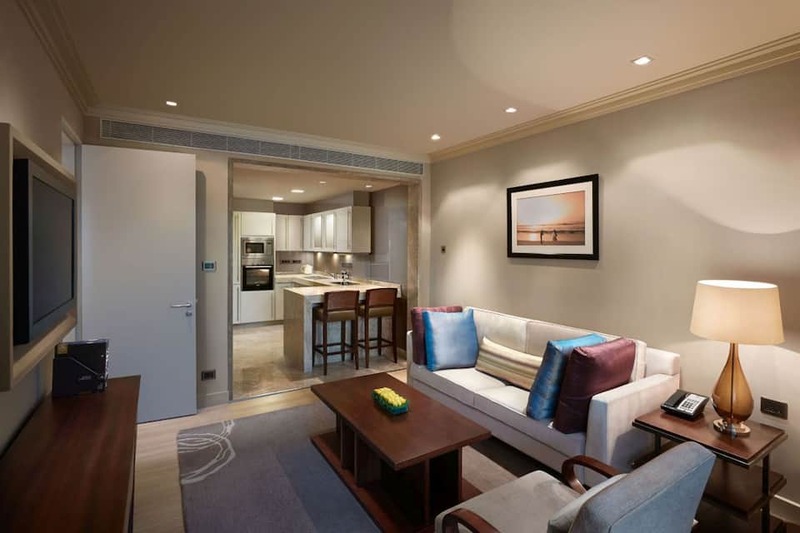 InComm guest digital assistance, coffee and tea maker, workstation, flat screen TV and attached bathroom with shower facility, telephone, bathtub and essential bath amenities. 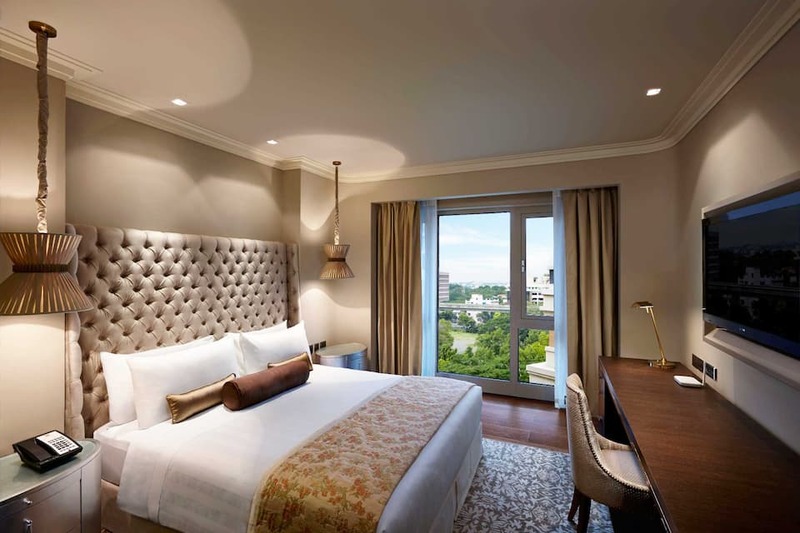 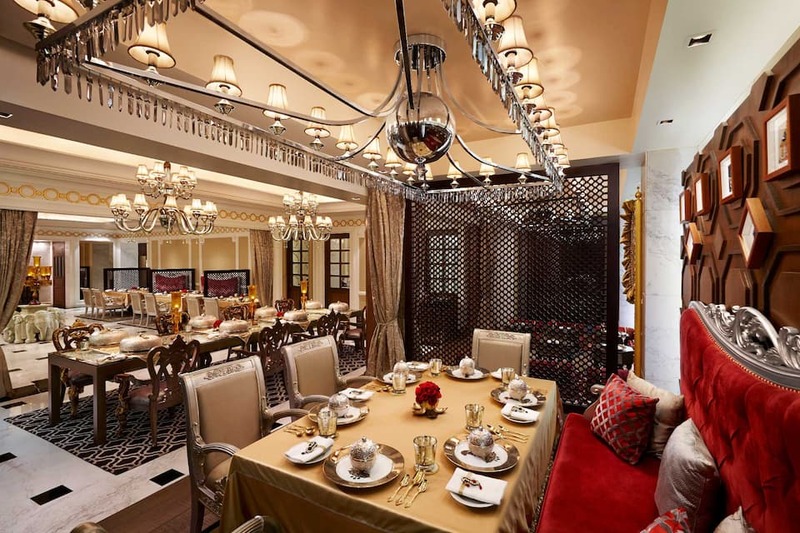 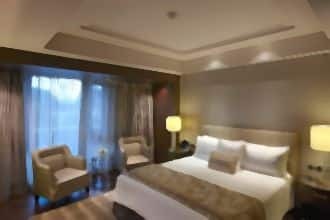 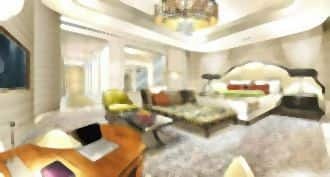 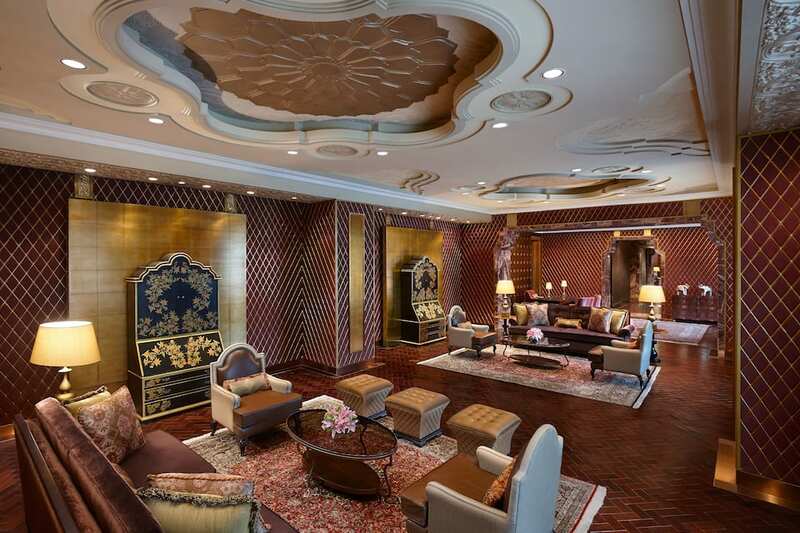 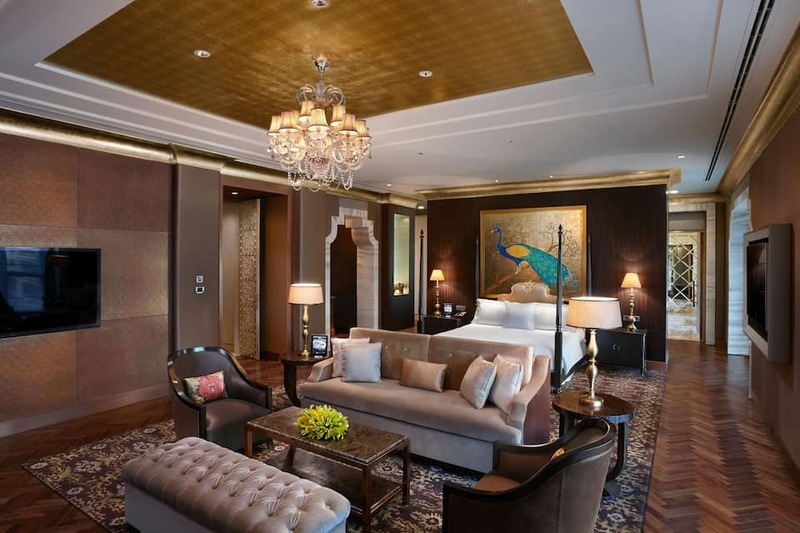 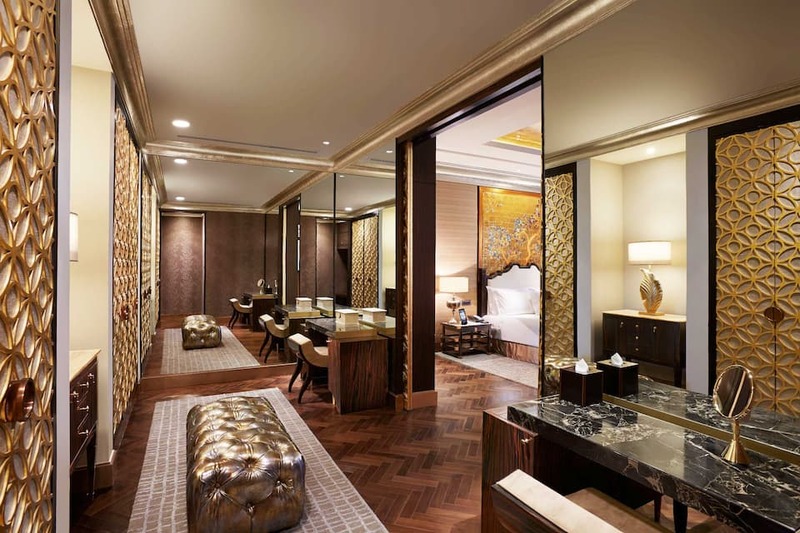 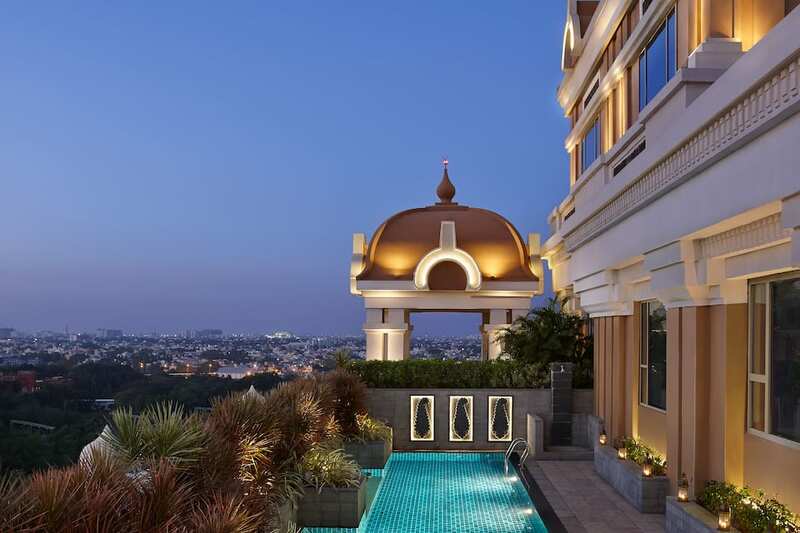 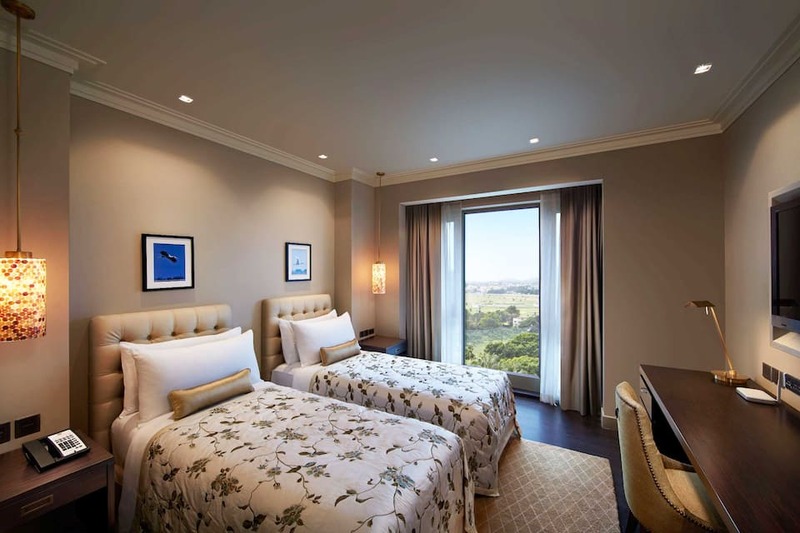 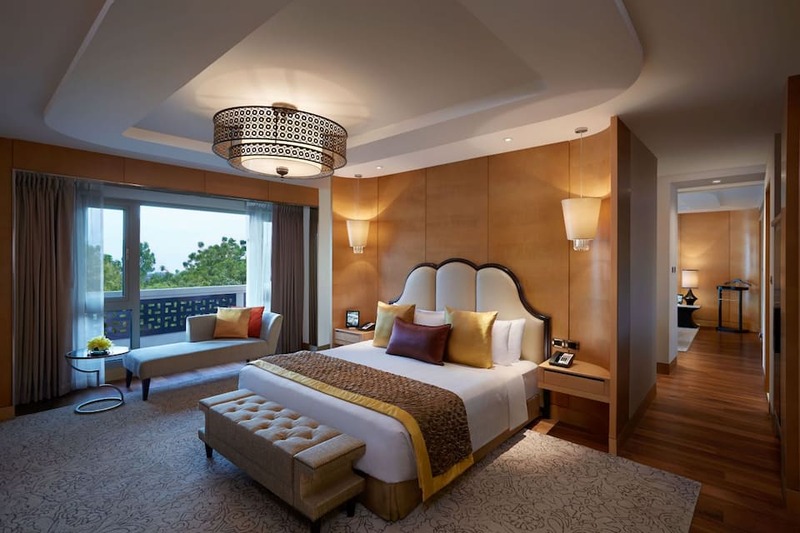 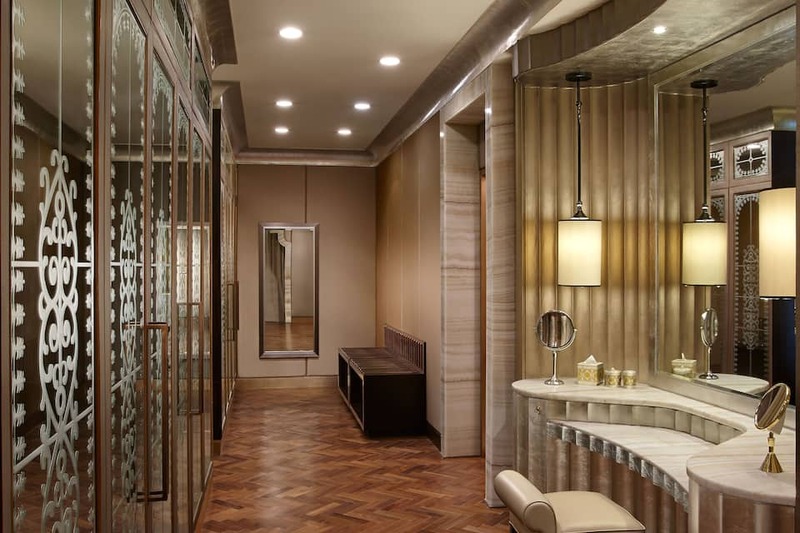 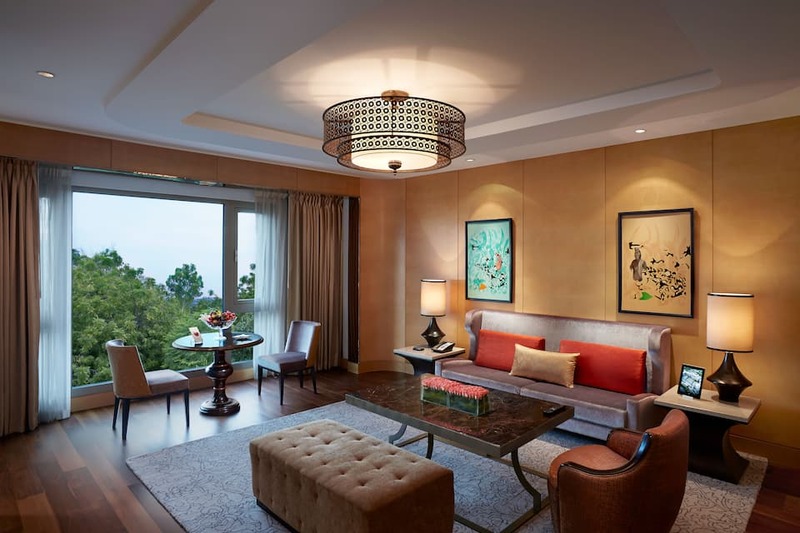 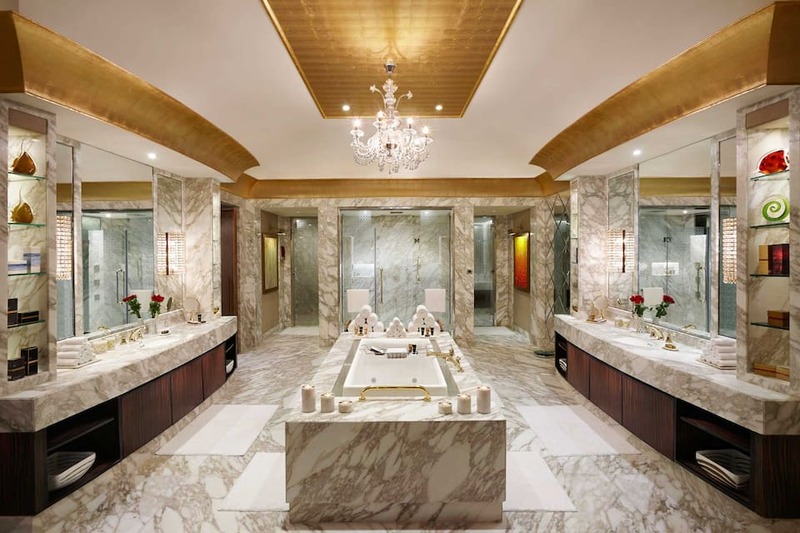 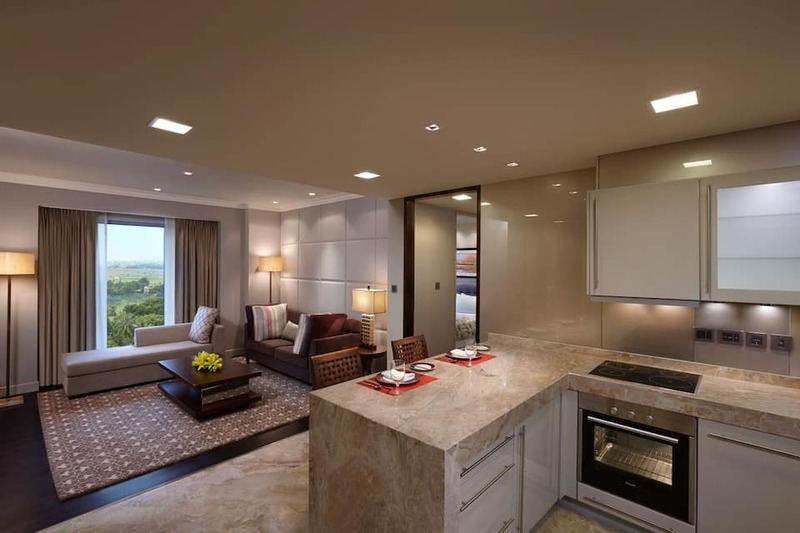 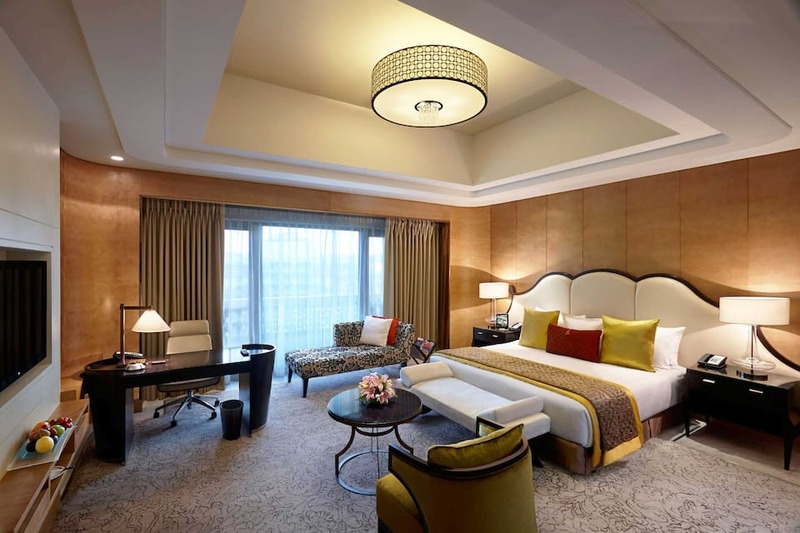 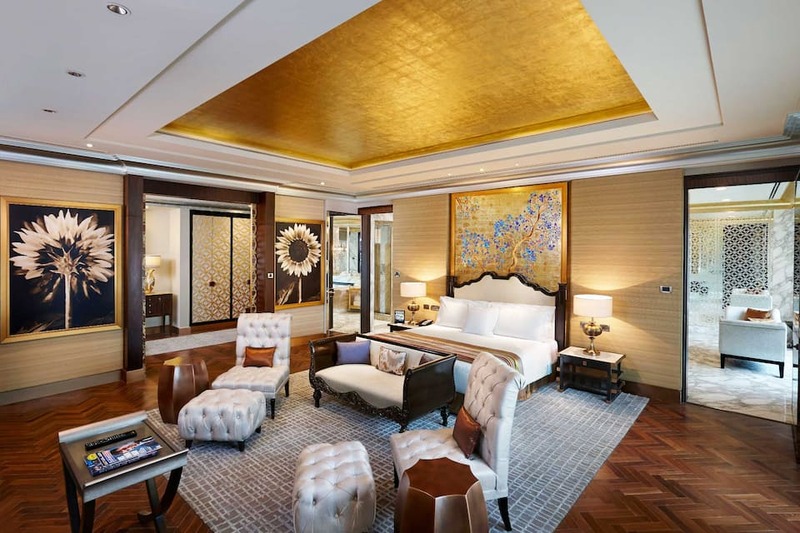 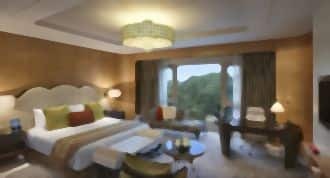 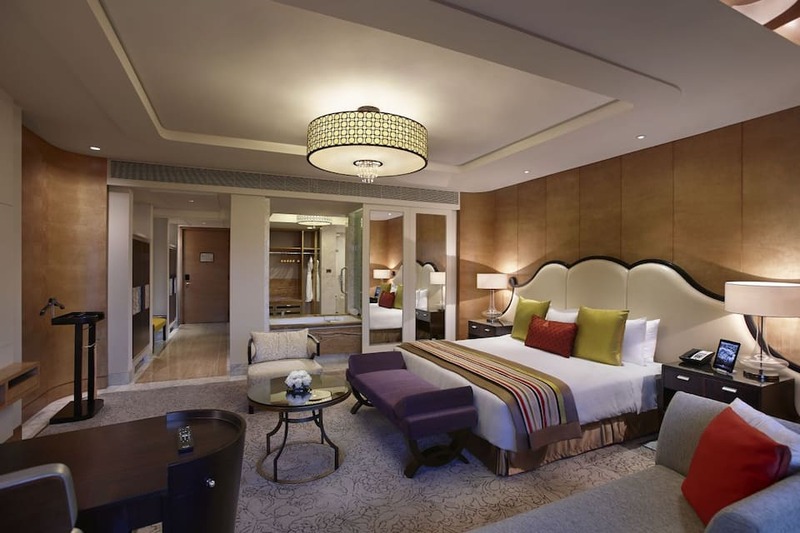 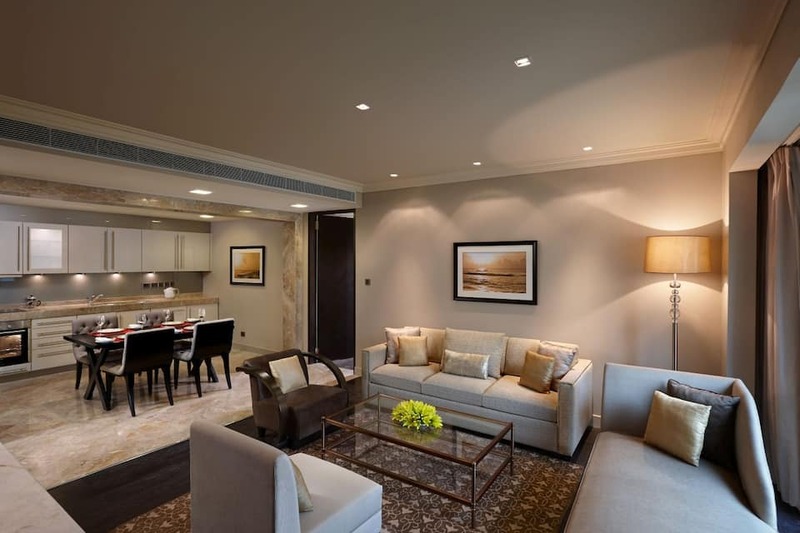 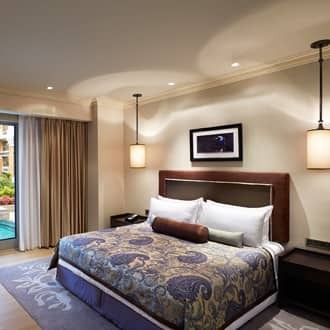 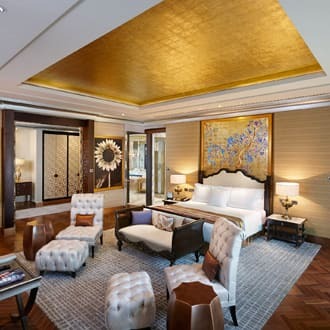 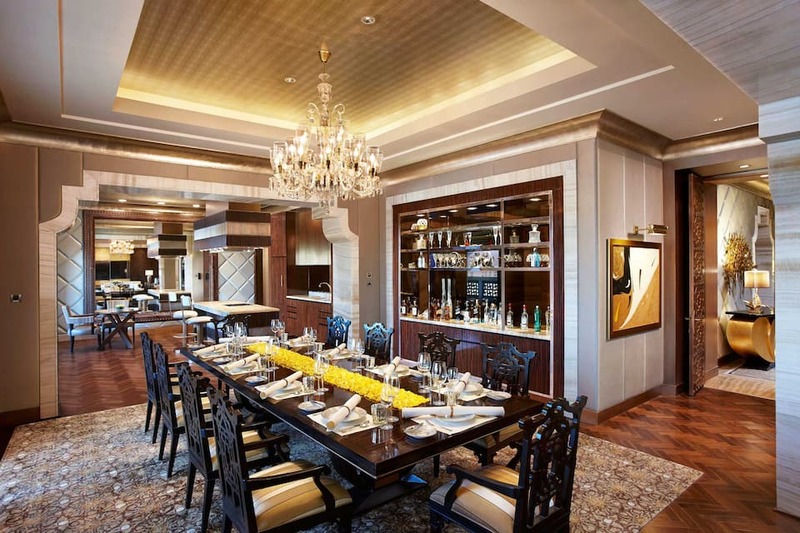 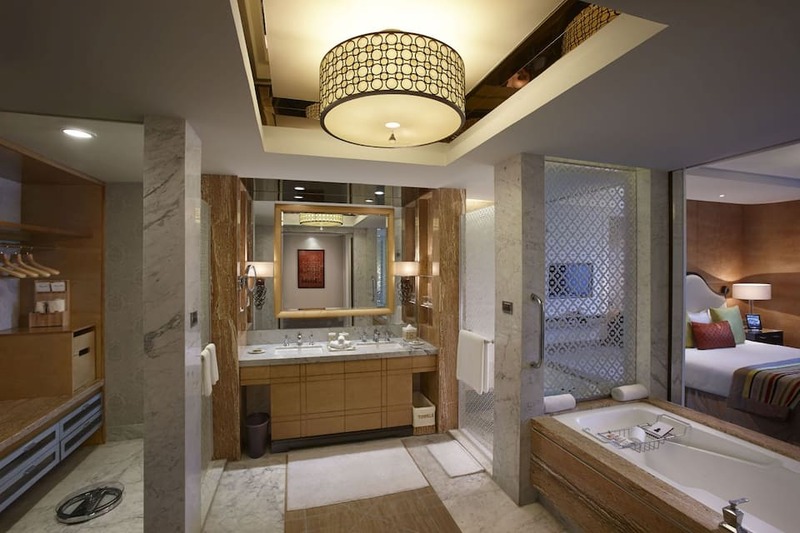 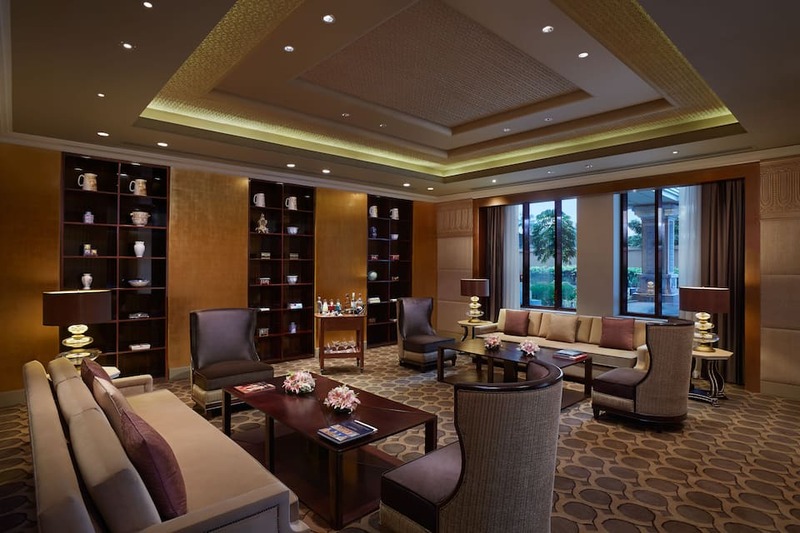 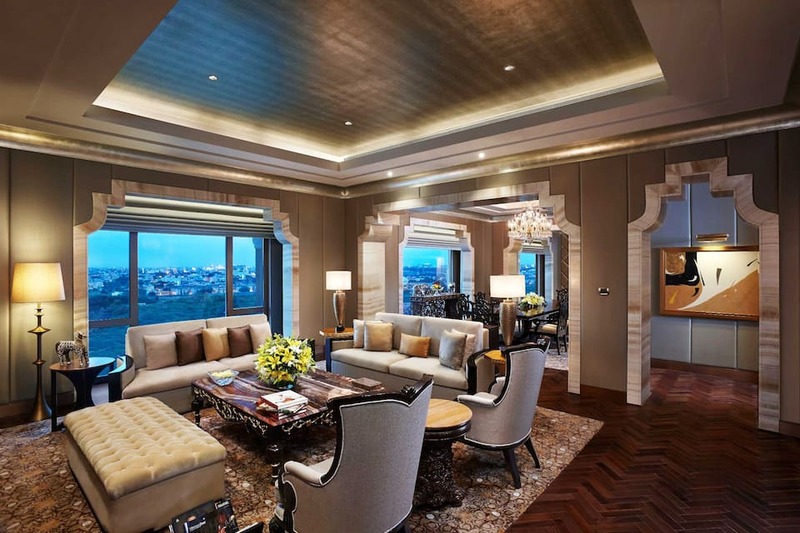 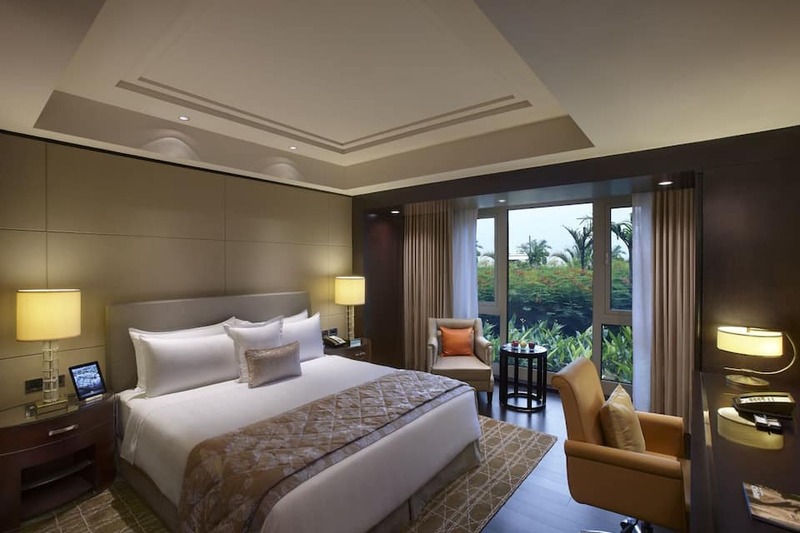 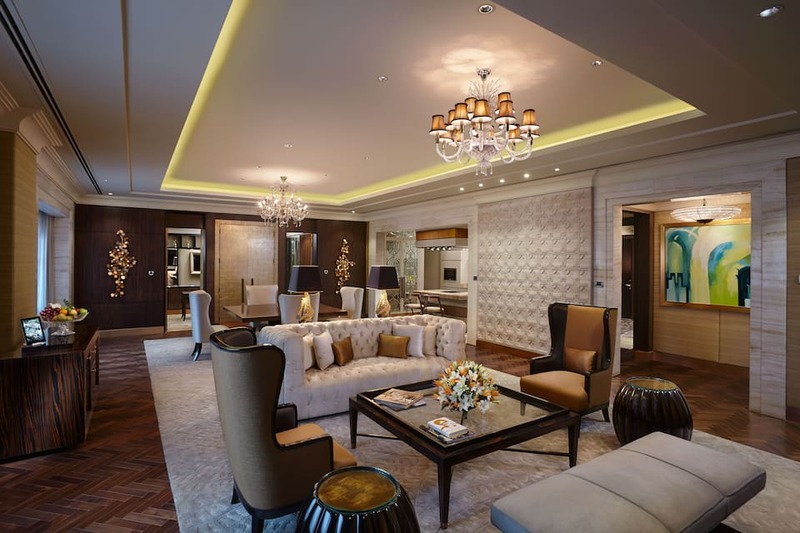 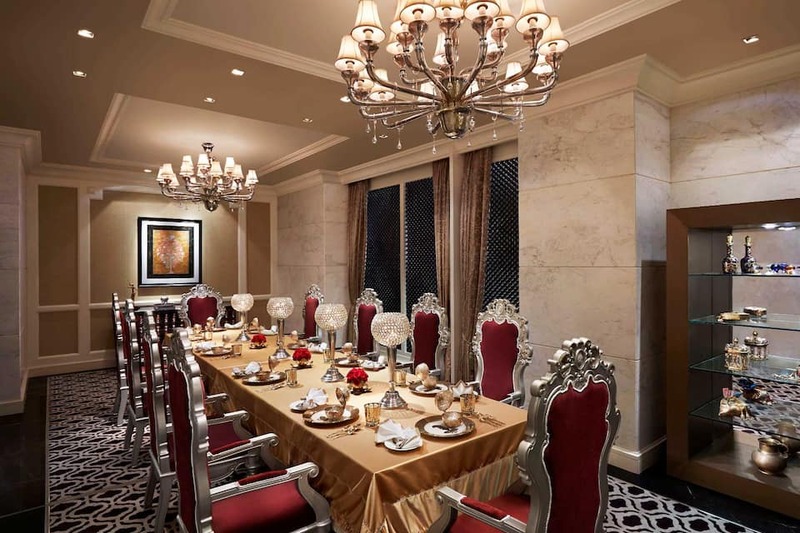 The Raja Raja Chola Grand Presidential Suite overlooking the Chennai skyline is equipped with dining, kitchen area, living rooms, walk-in closet, five fixture marble-clad bathroom, shower cubicles and a luxurious deep soak bathtub. 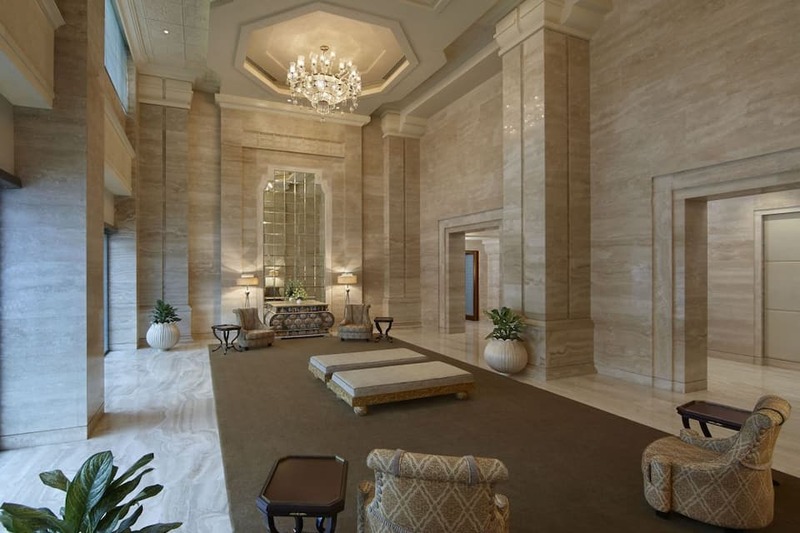 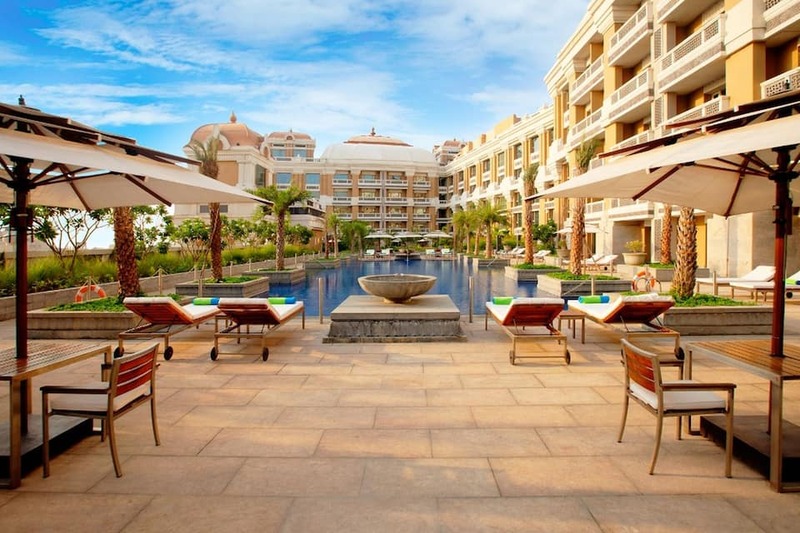 It also has a private pool, gymnasium and private elevator.